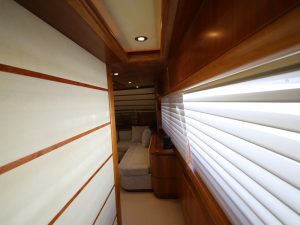 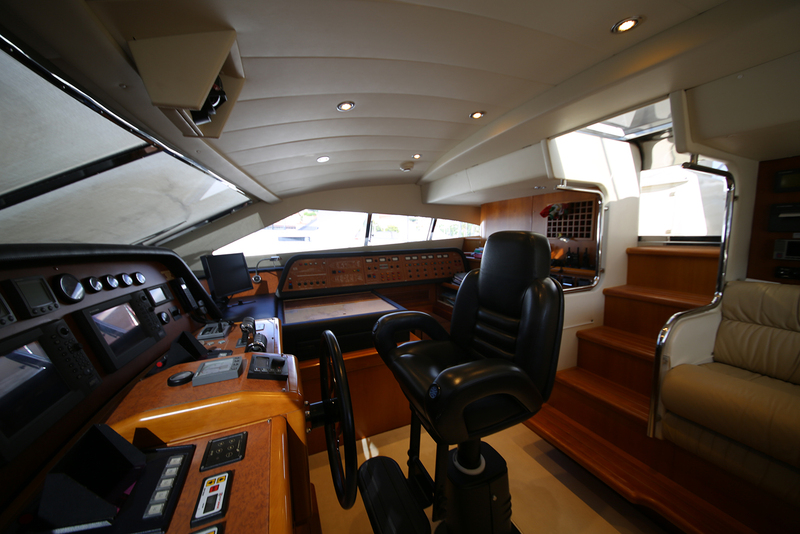 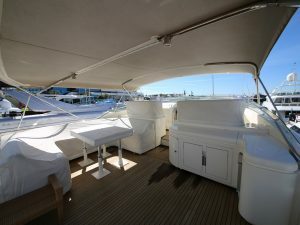 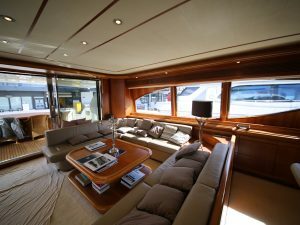 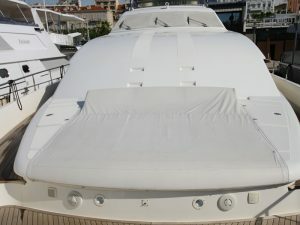 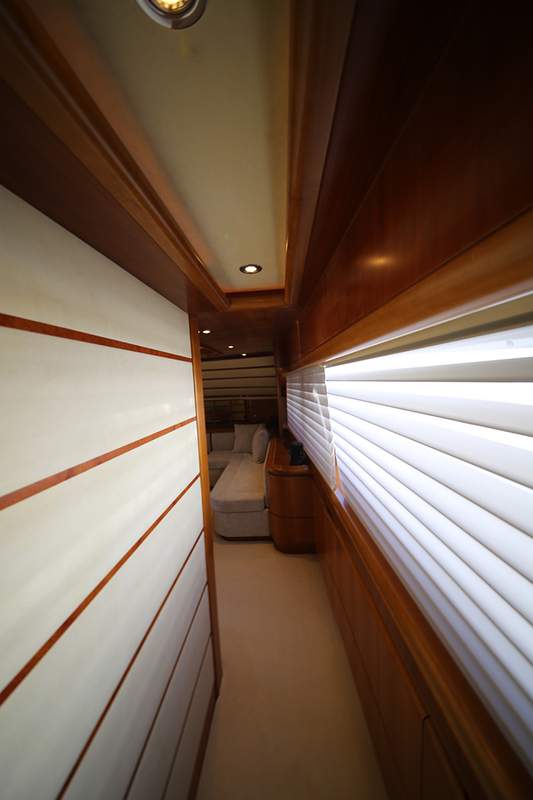 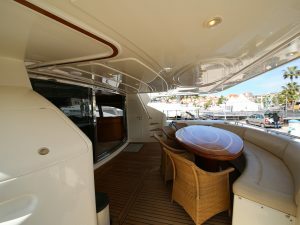 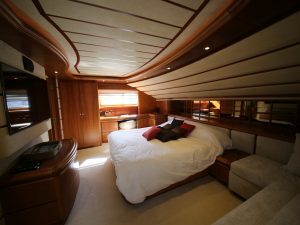 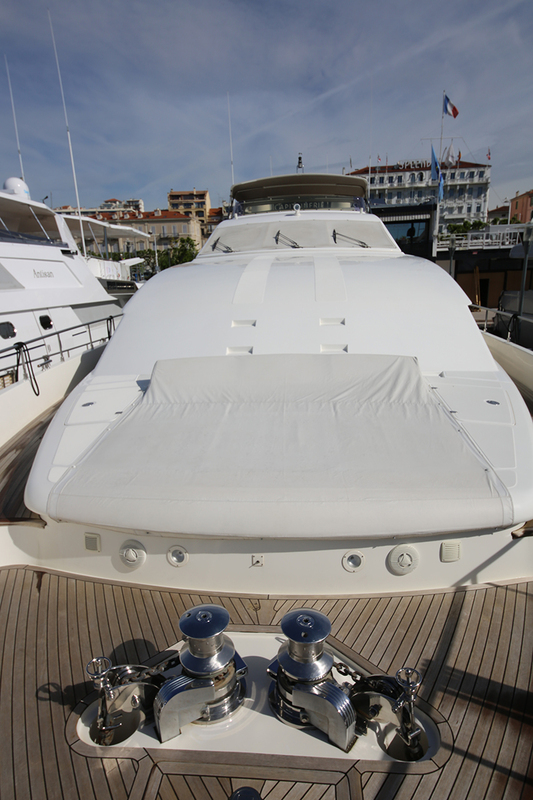 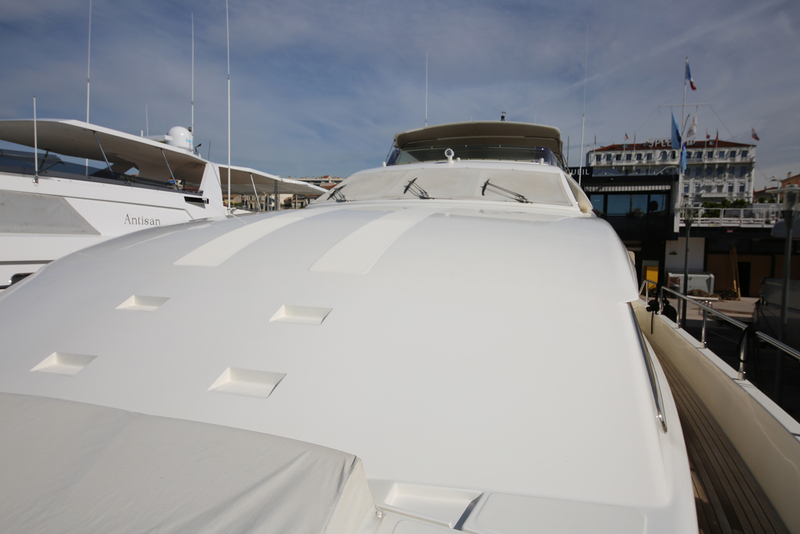 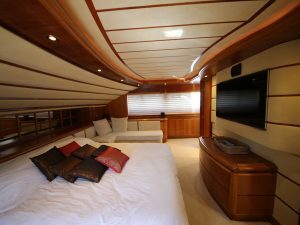 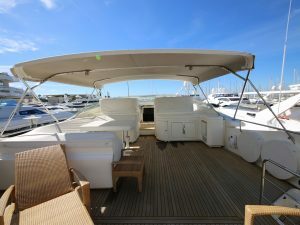 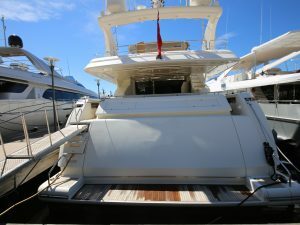 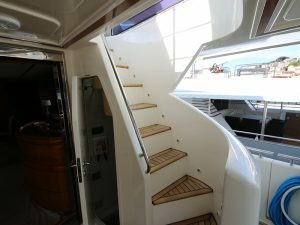 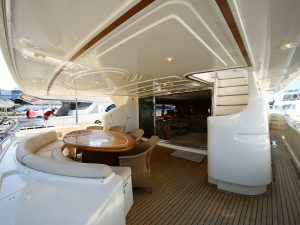 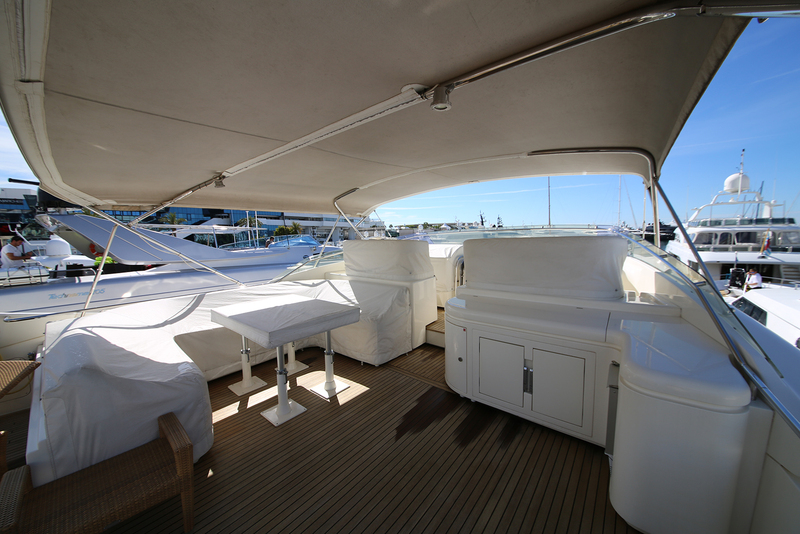 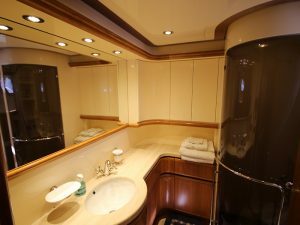 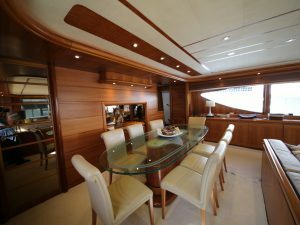 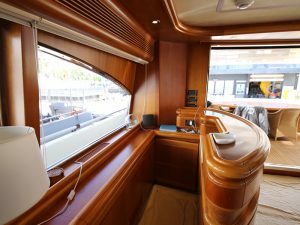 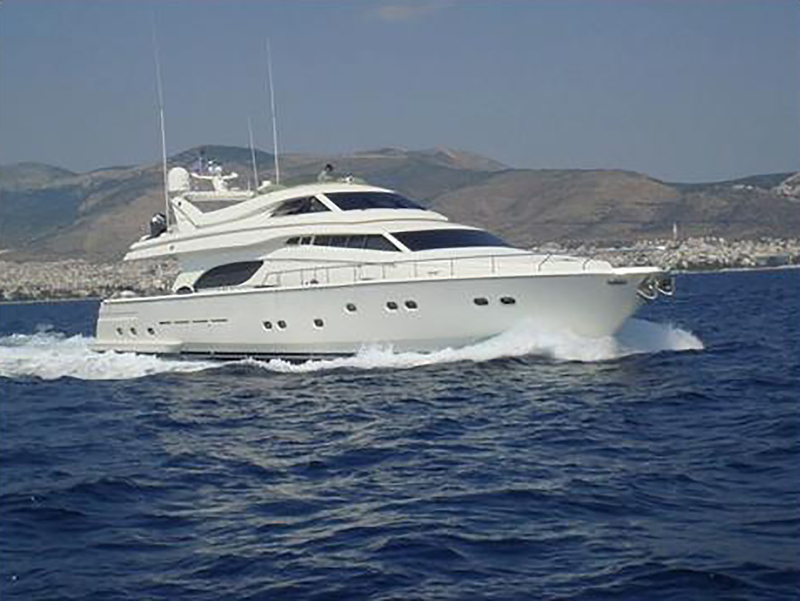 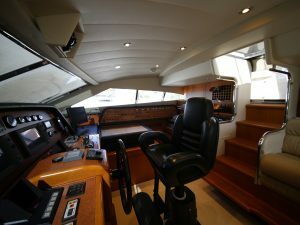 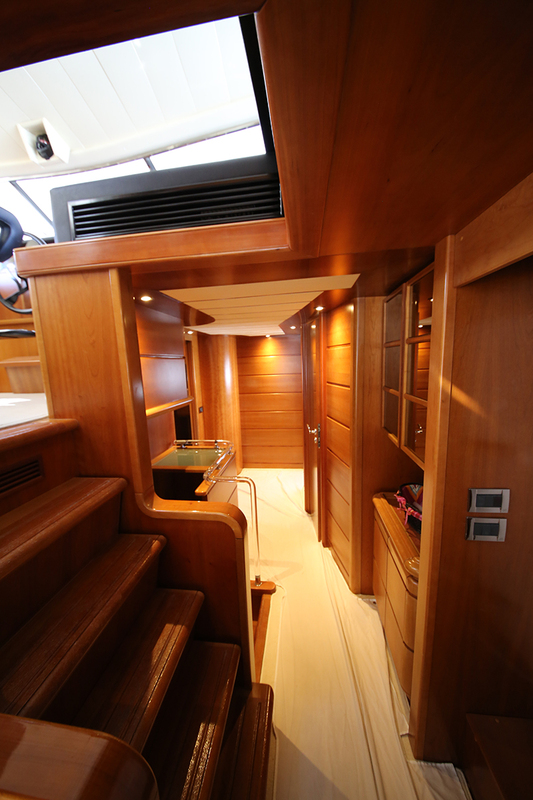 This Ferretti Custom Line 94 delivered in 2004 is in immaculate condition and she is available for sale. 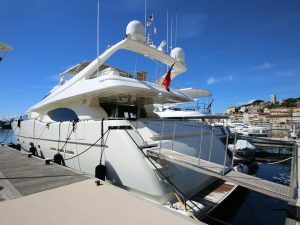 A trade-in would also be considered! 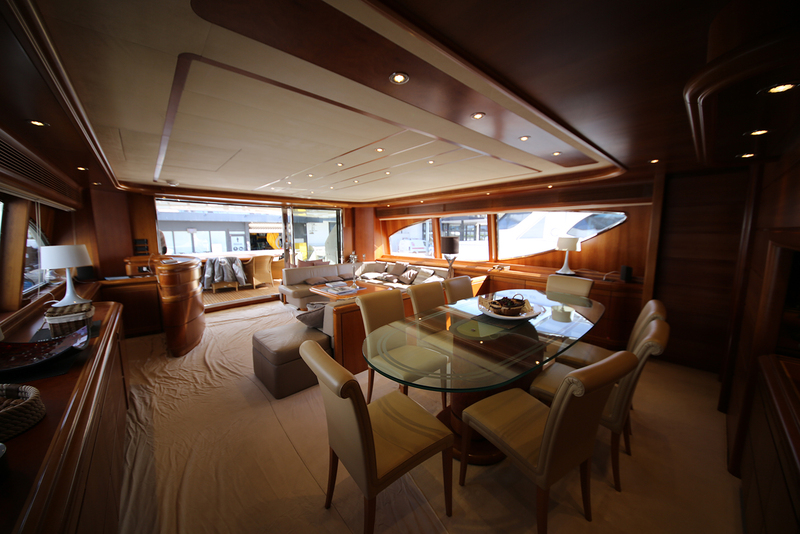 She boasts a luminous salon equipped with a large U-shaped leather sofa. 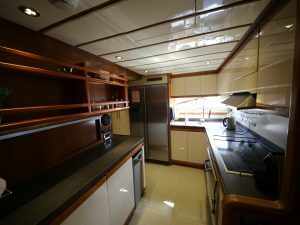 Her salon also hosts a bar with a fridge and a sink. 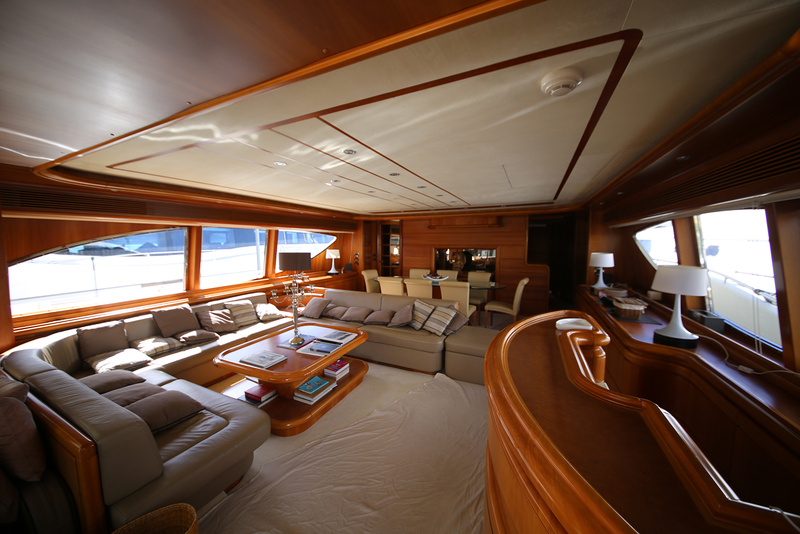 Guests can relax and enjoy watching movies on her large Samsung TV or listening to music. 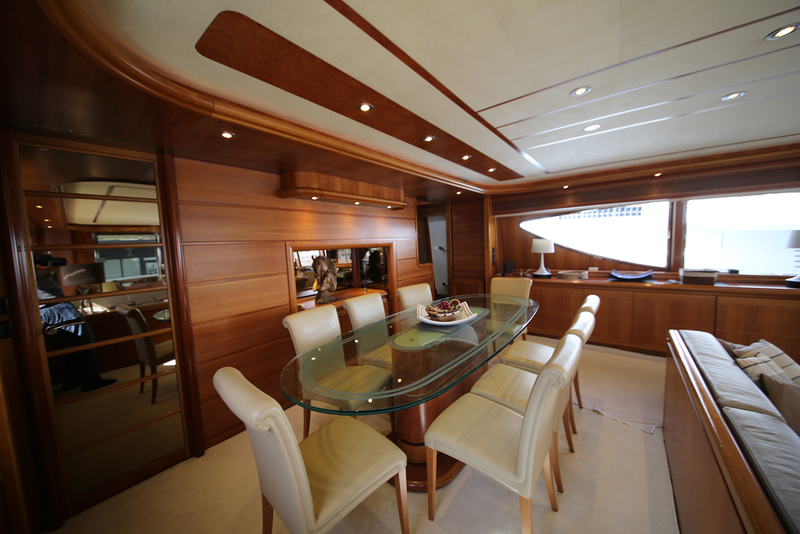 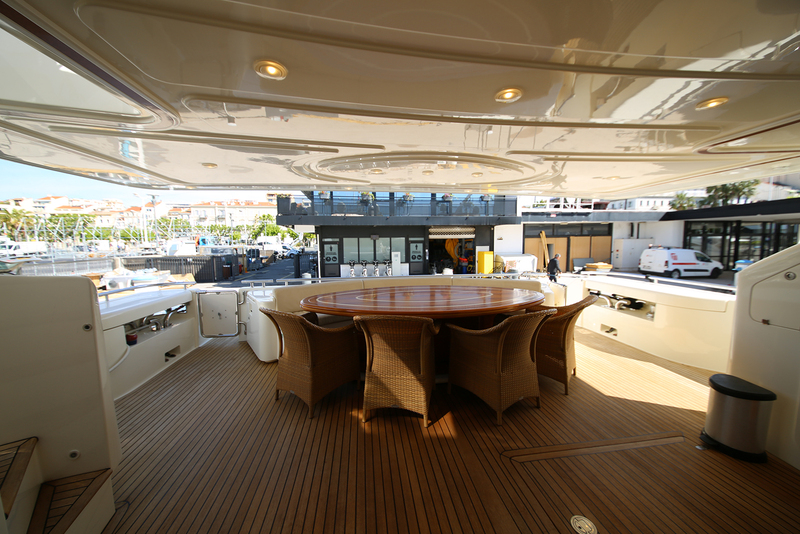 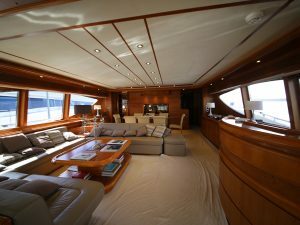 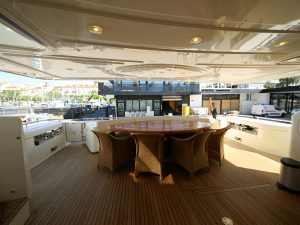 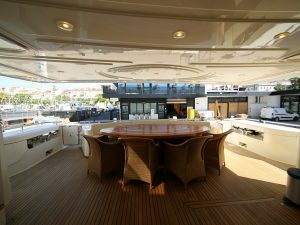 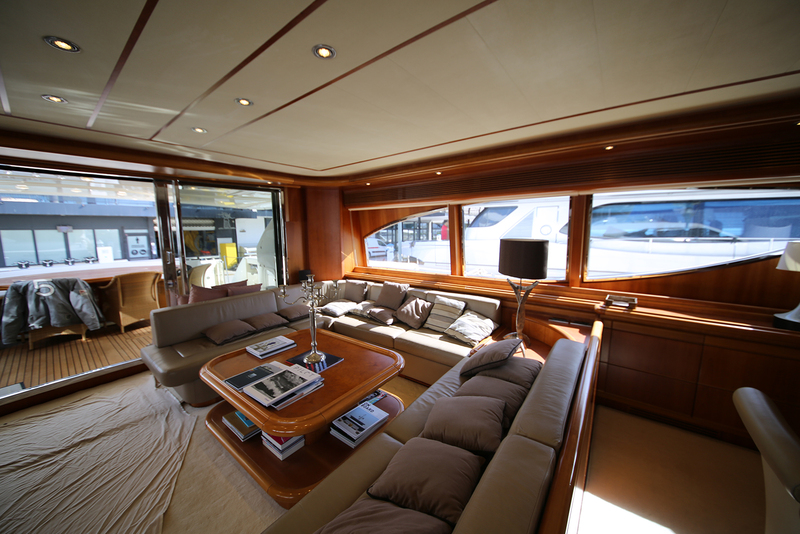 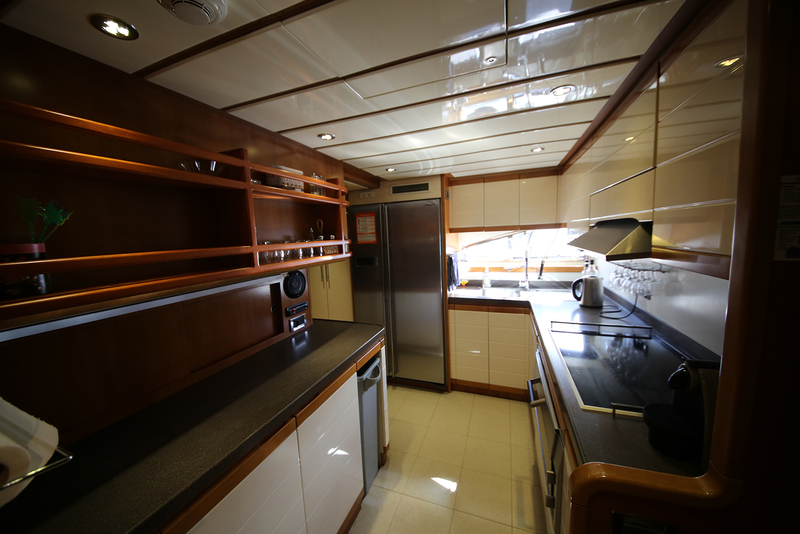 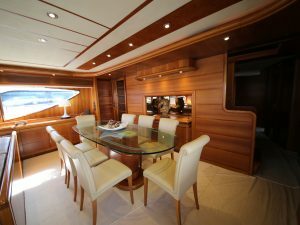 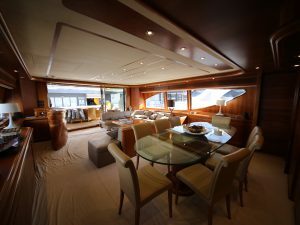 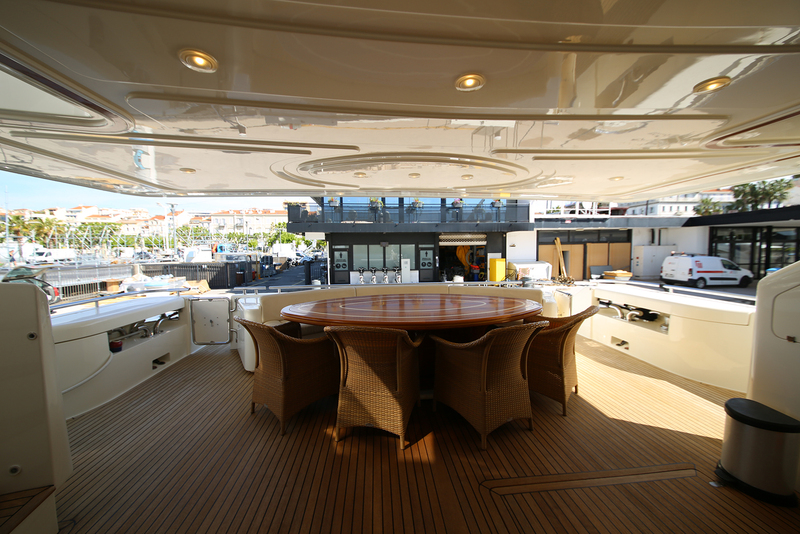 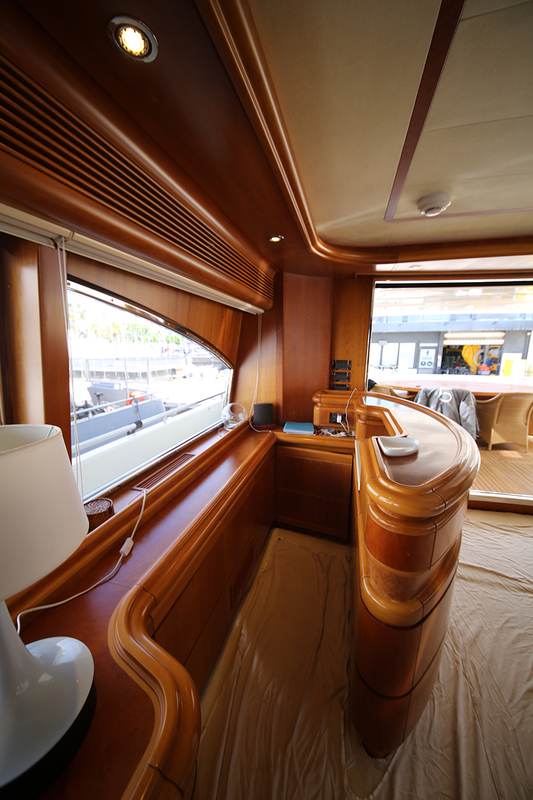 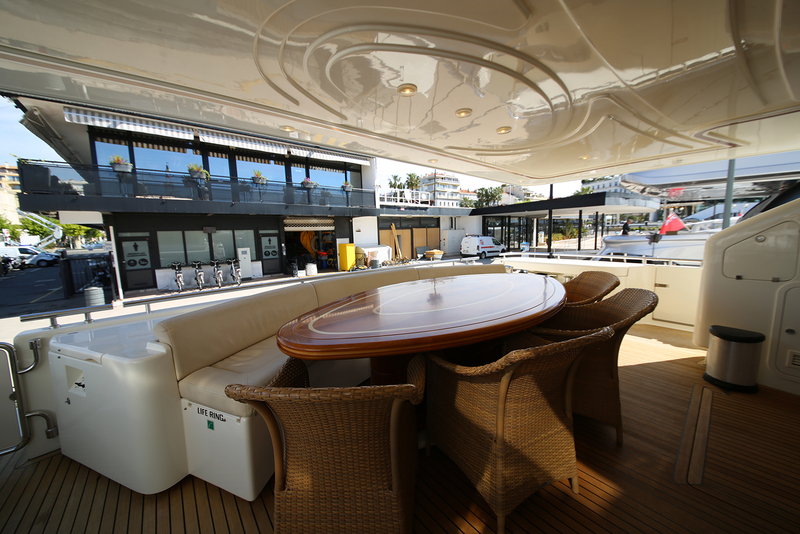 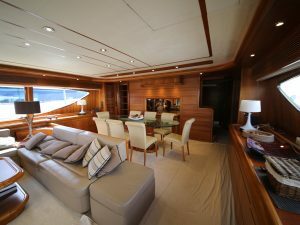 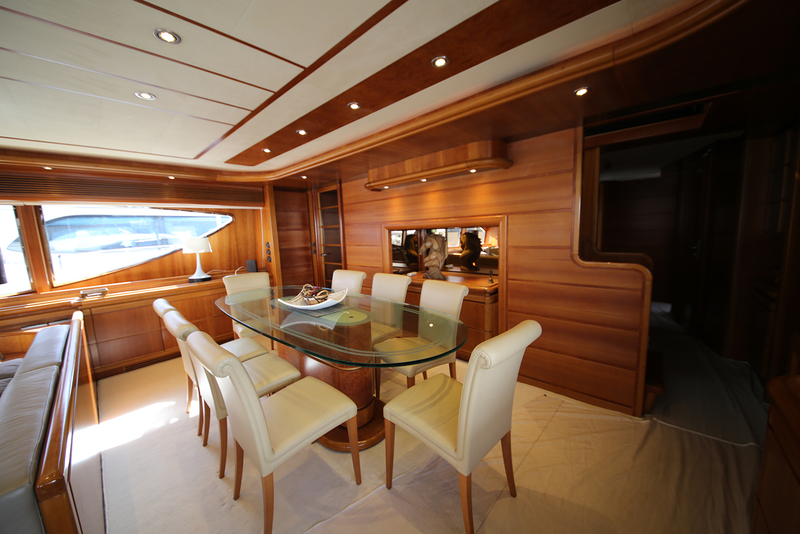 Further fore deck, the dining area hosts comfortably up to 10 guests. 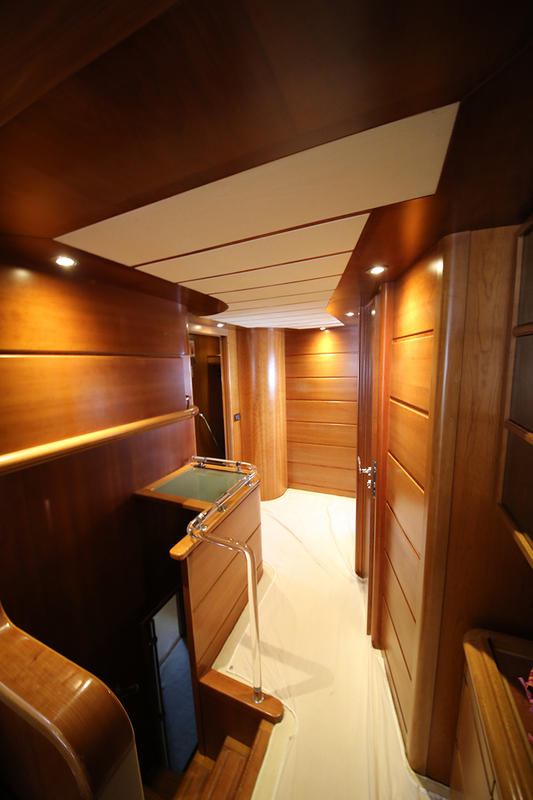 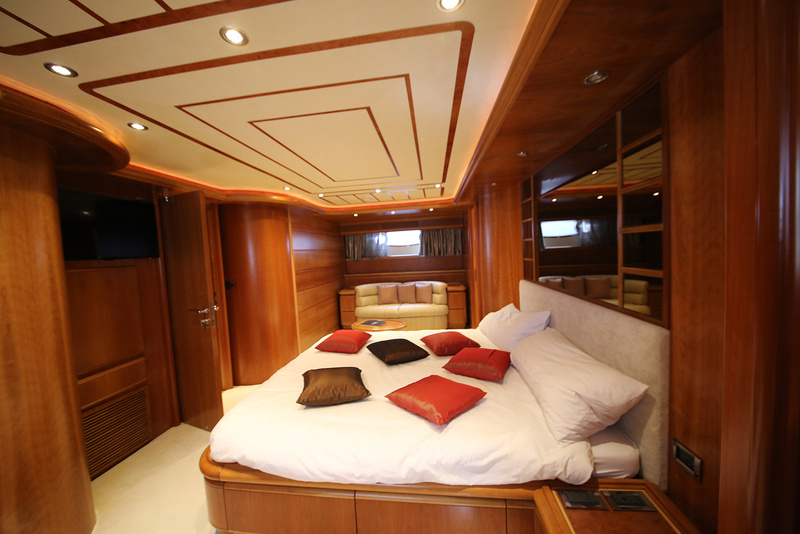 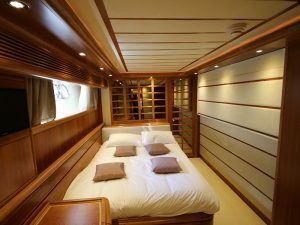 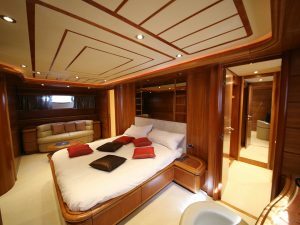 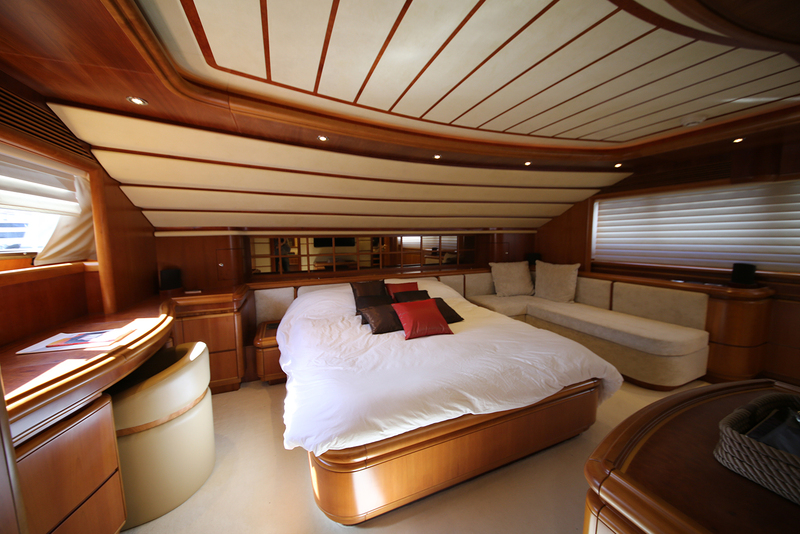 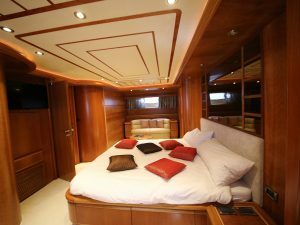 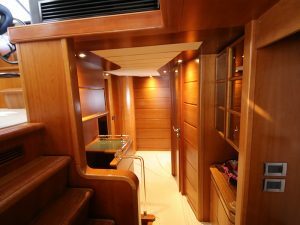 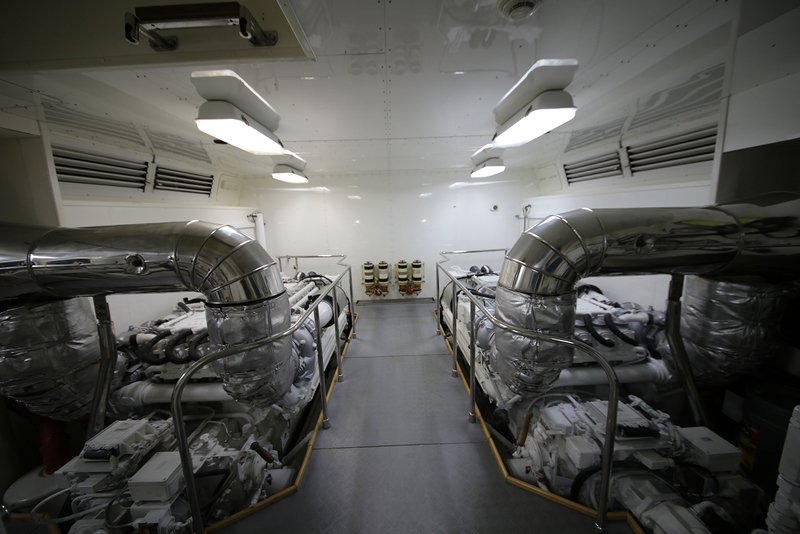 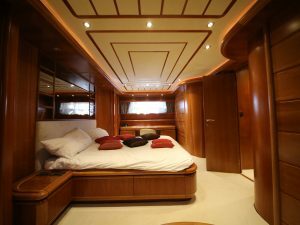 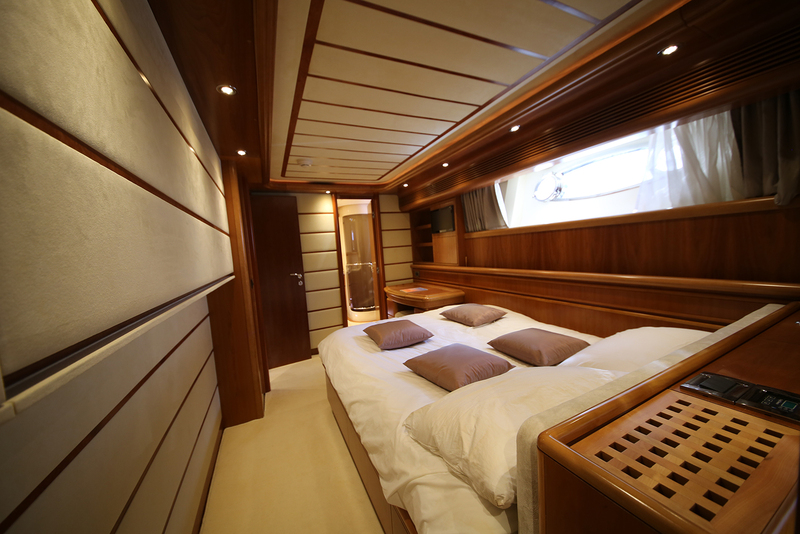 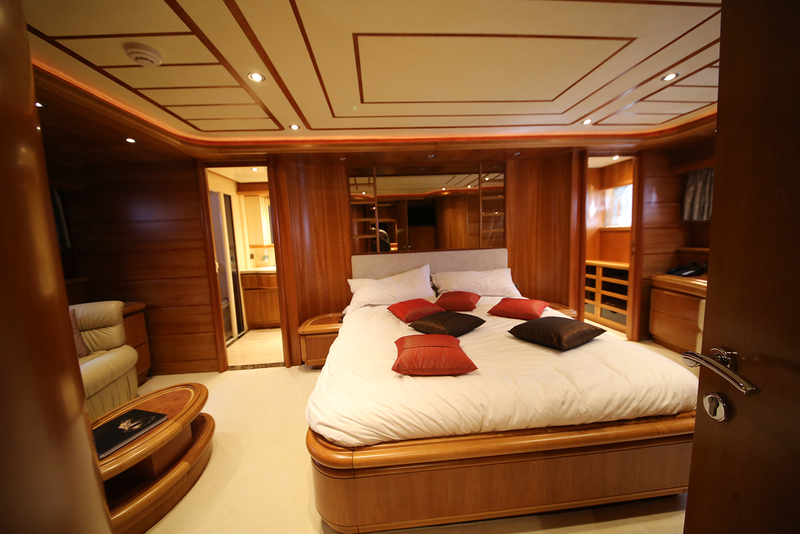 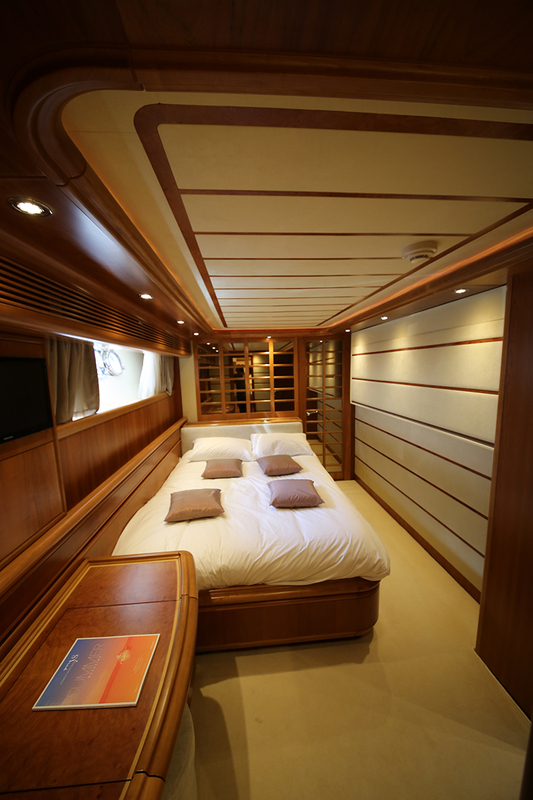 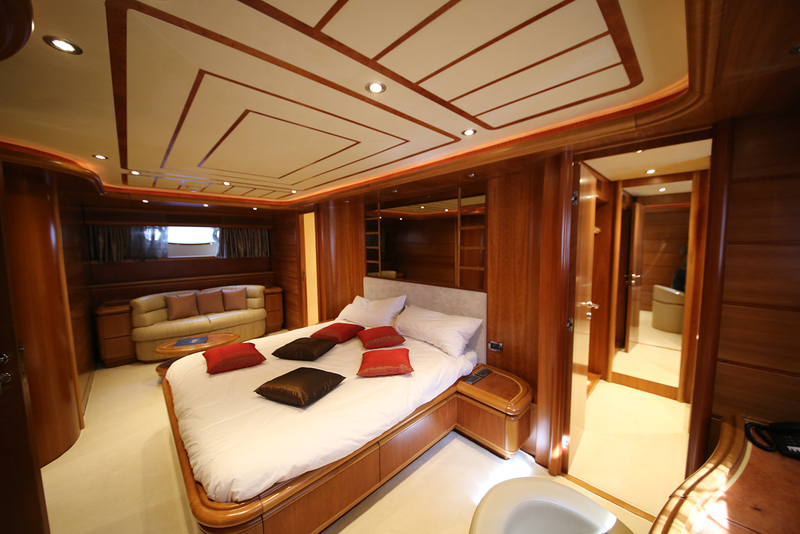 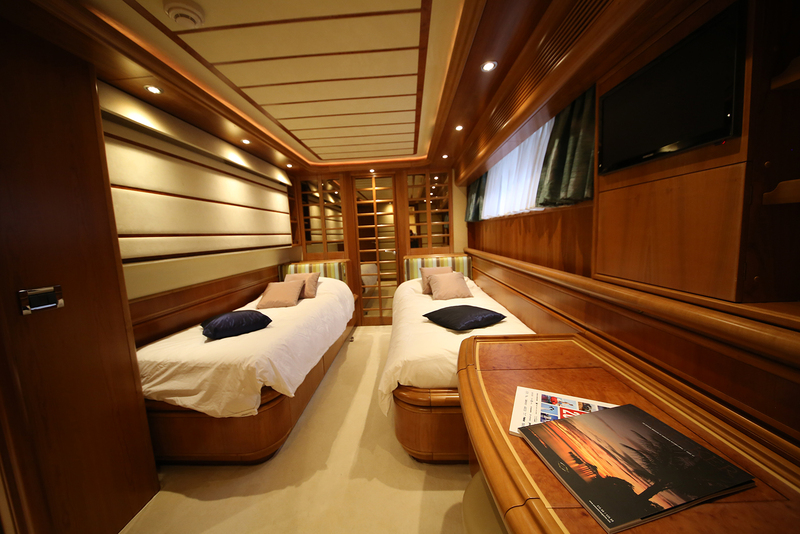 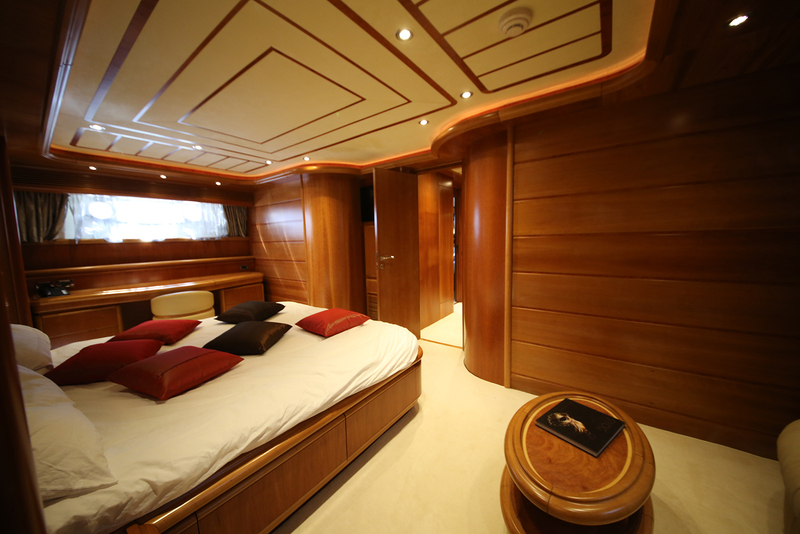 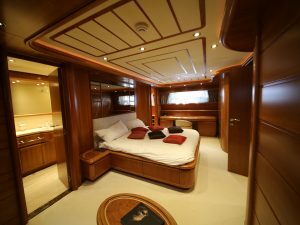 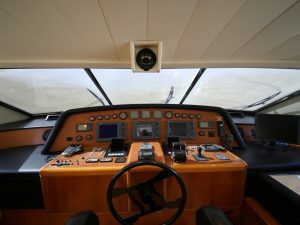 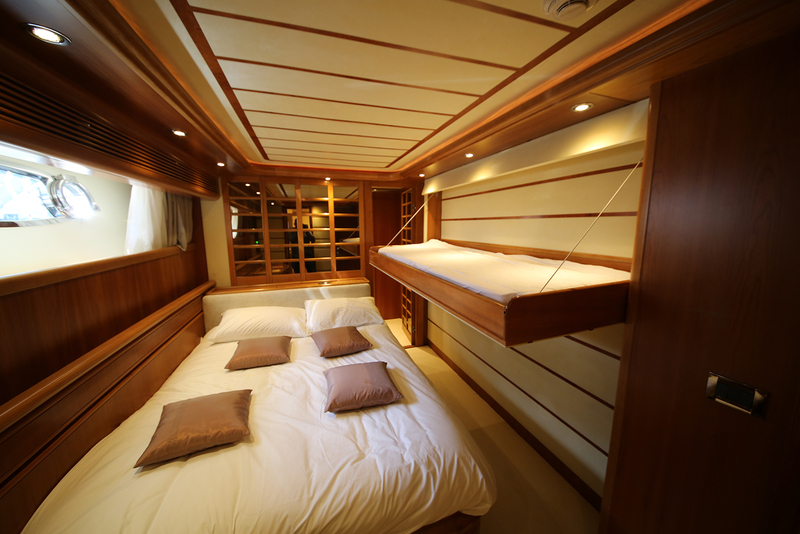 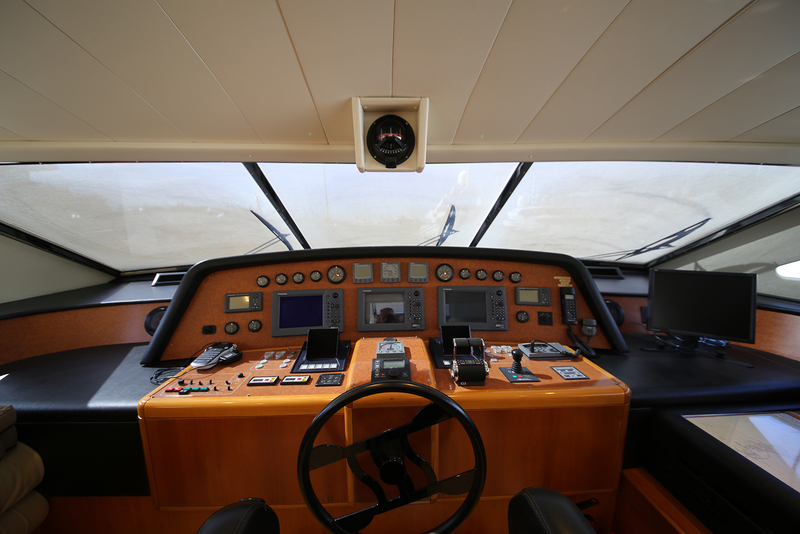 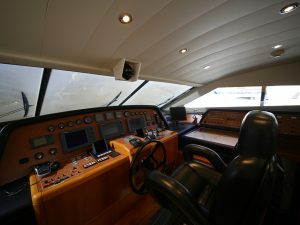 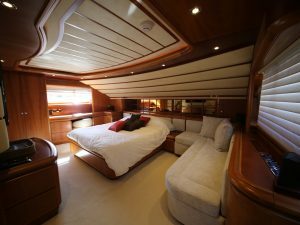 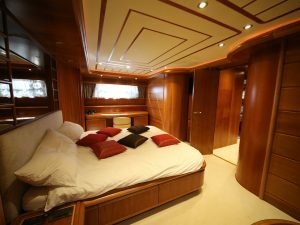 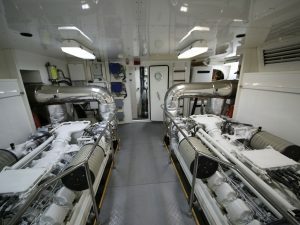 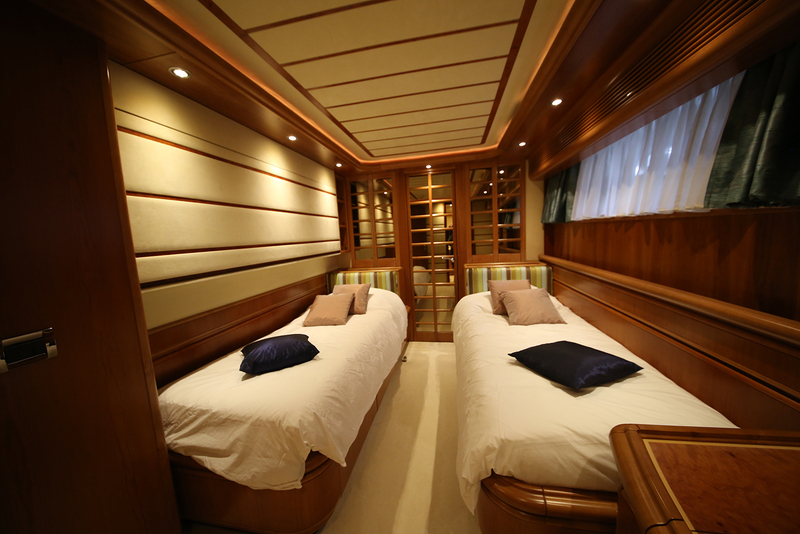 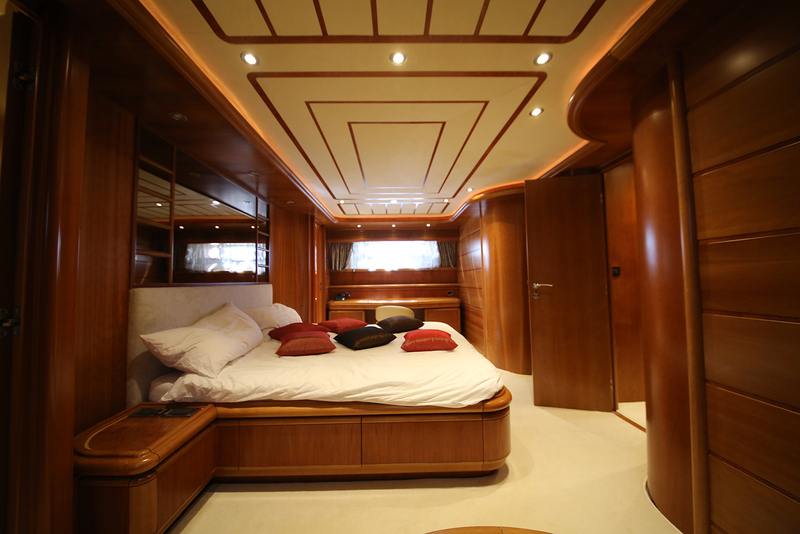 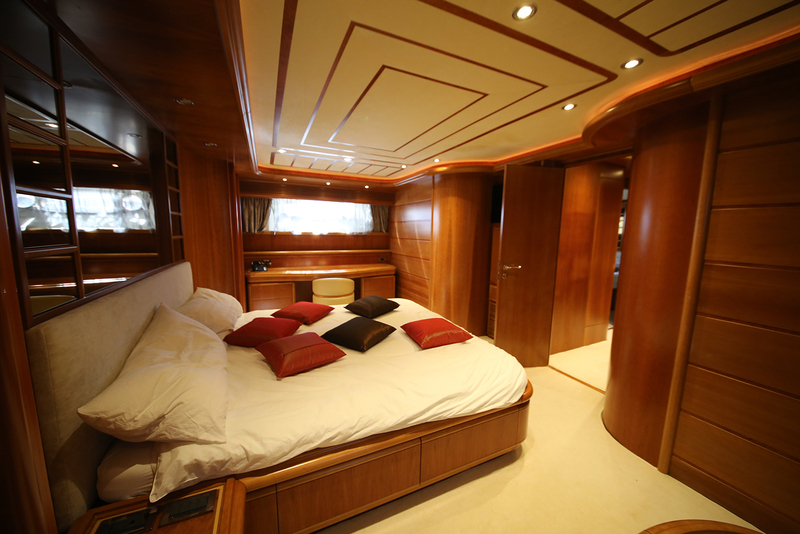 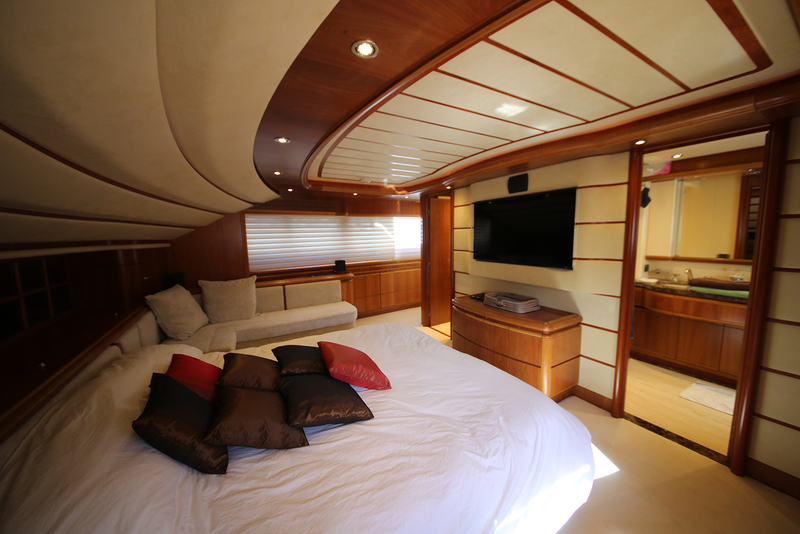 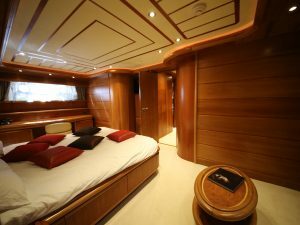 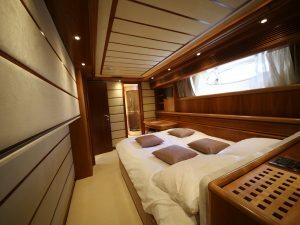 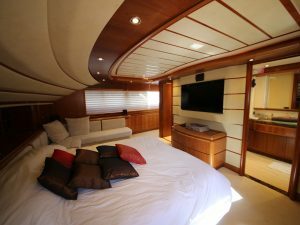 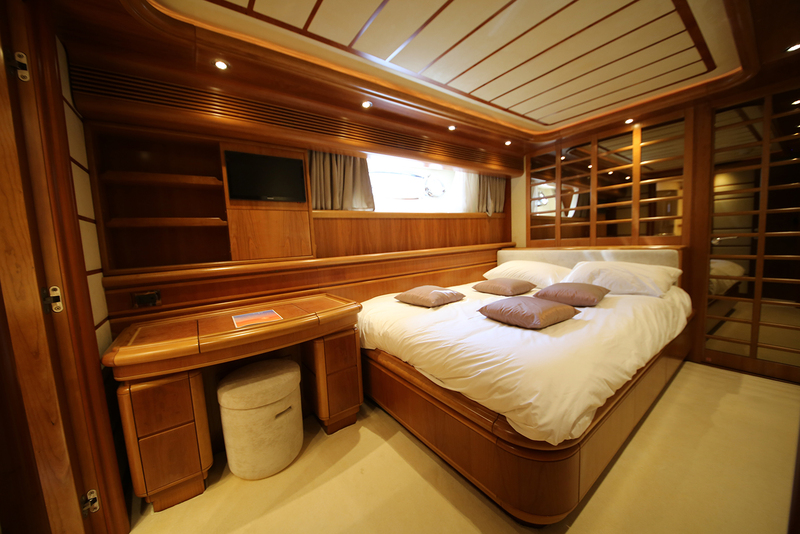 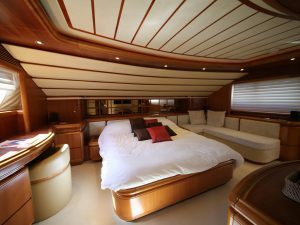 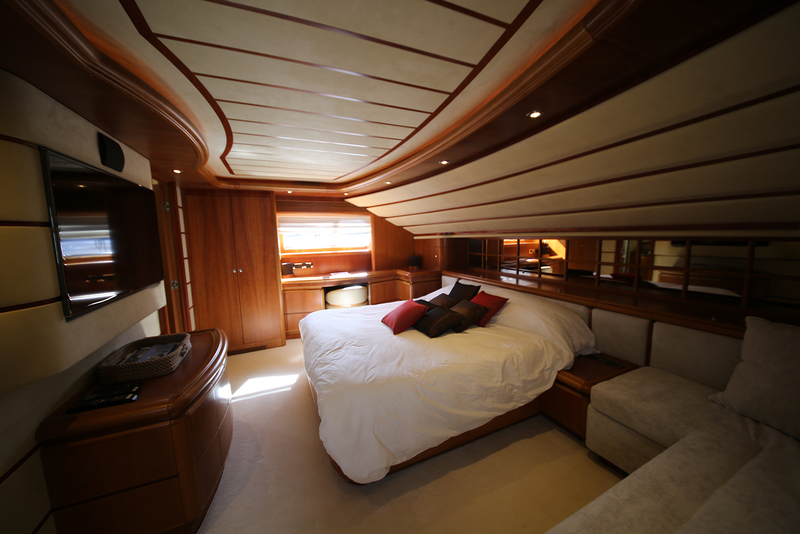 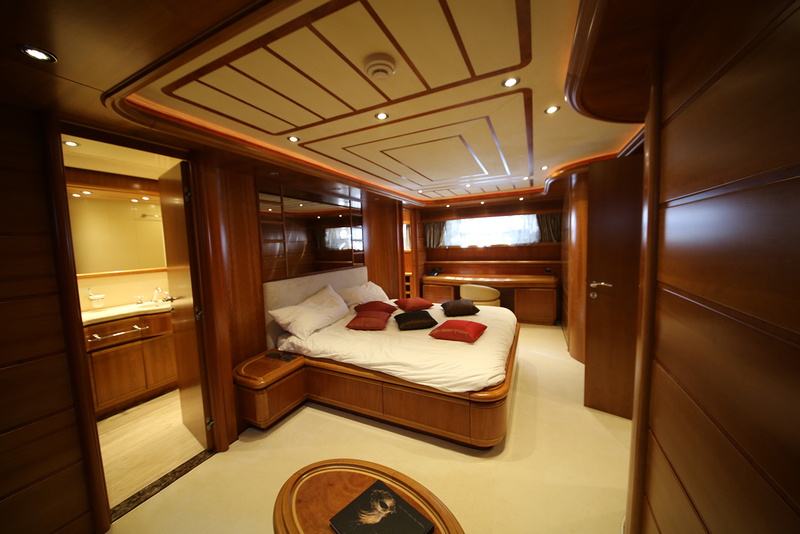 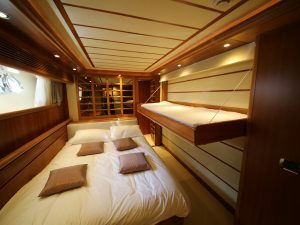 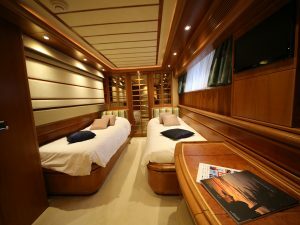 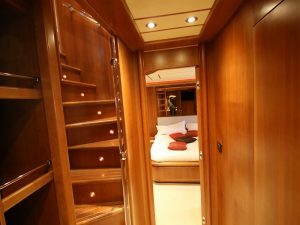 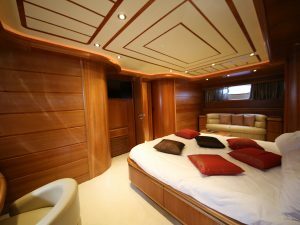 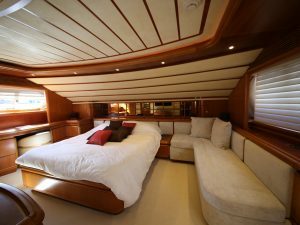 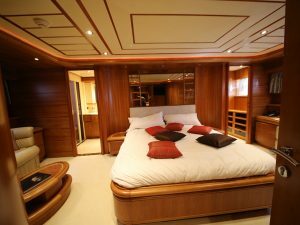 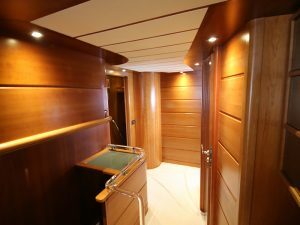 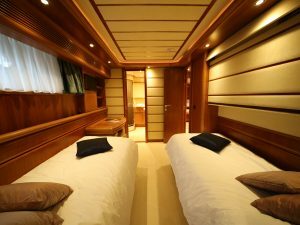 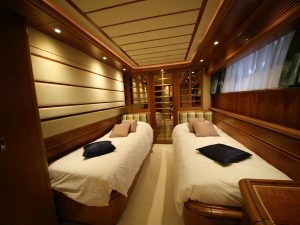 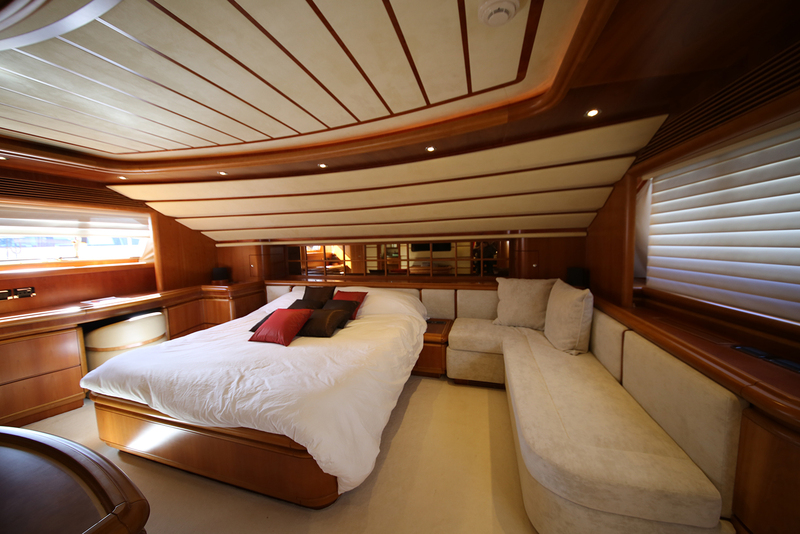 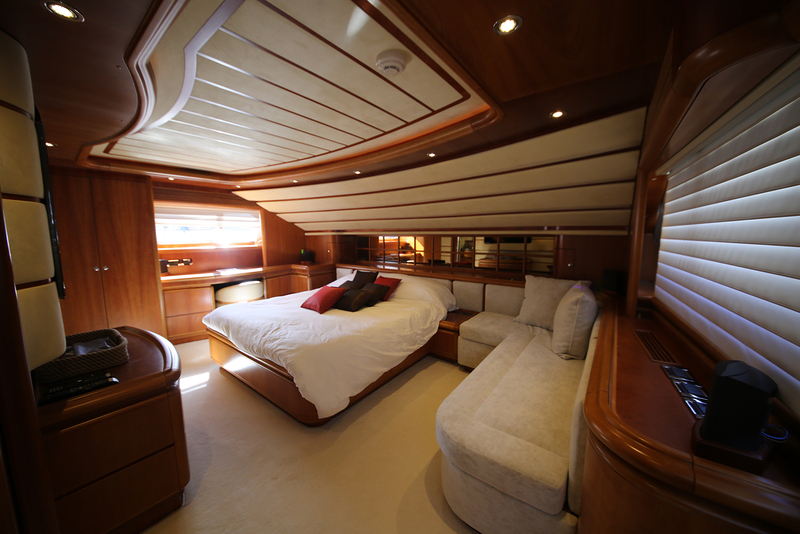 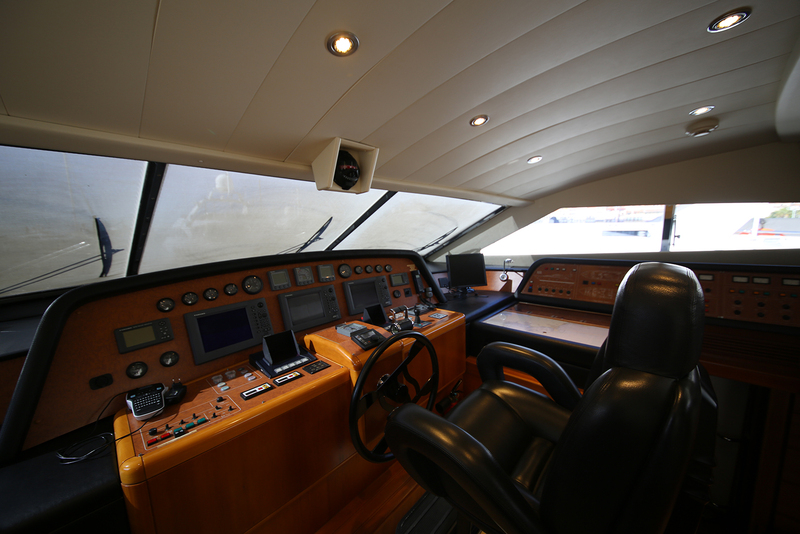 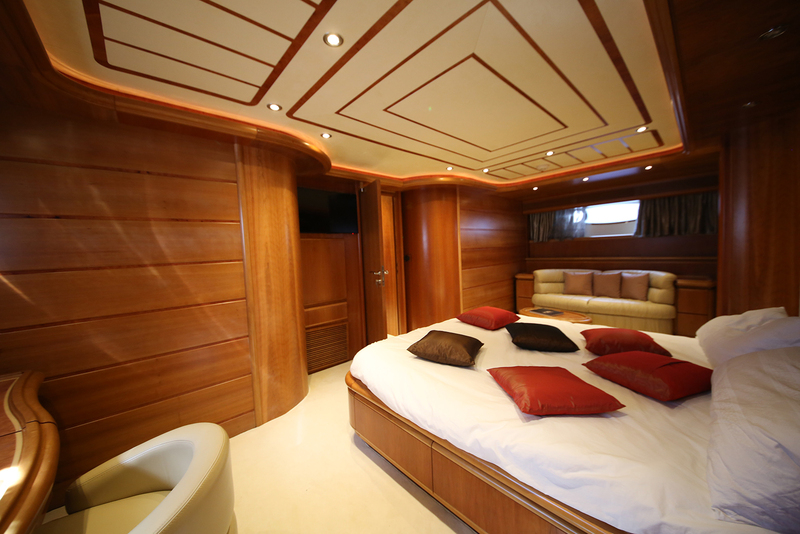 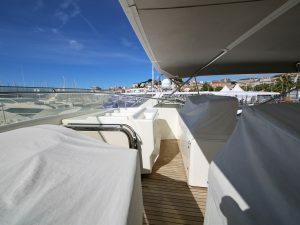 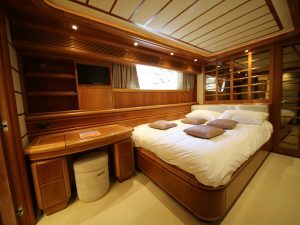 The master cabin follows, which is also on the main deck. 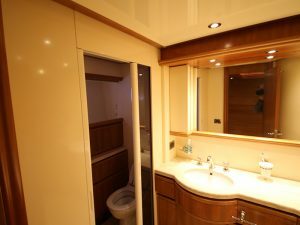 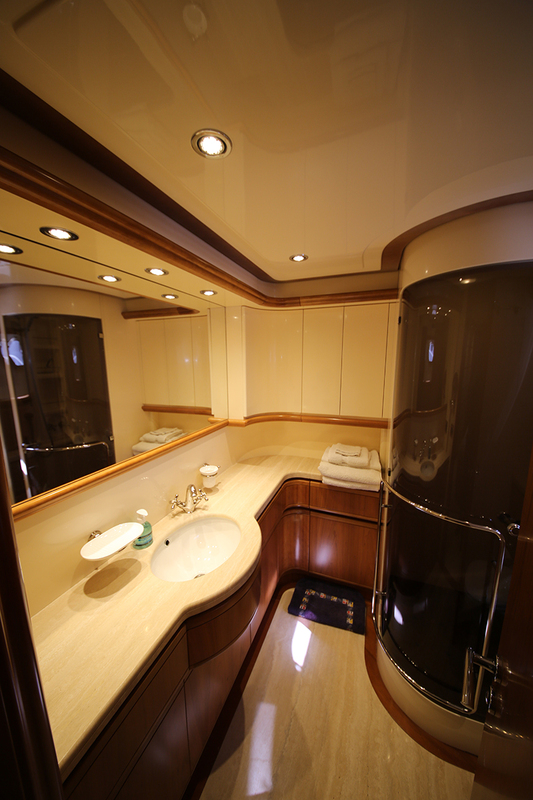 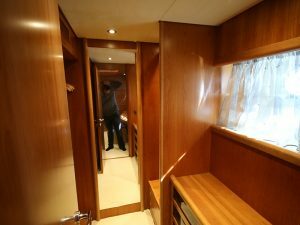 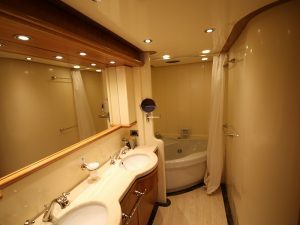 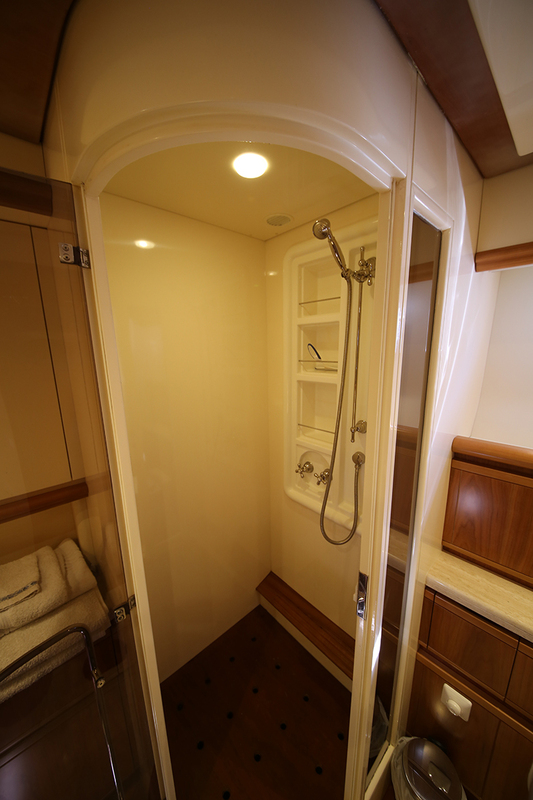 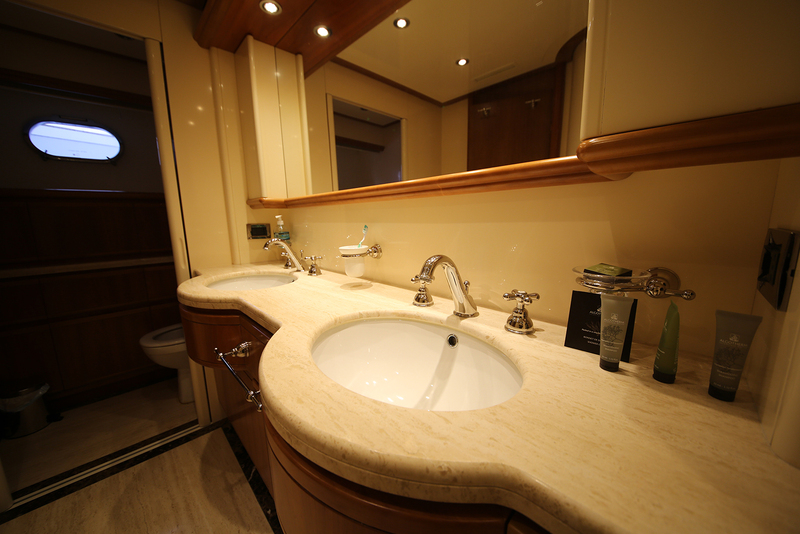 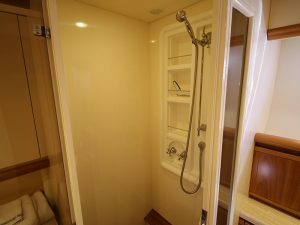 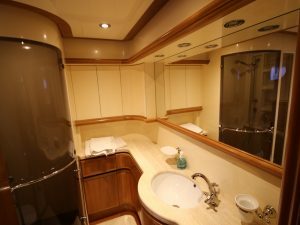 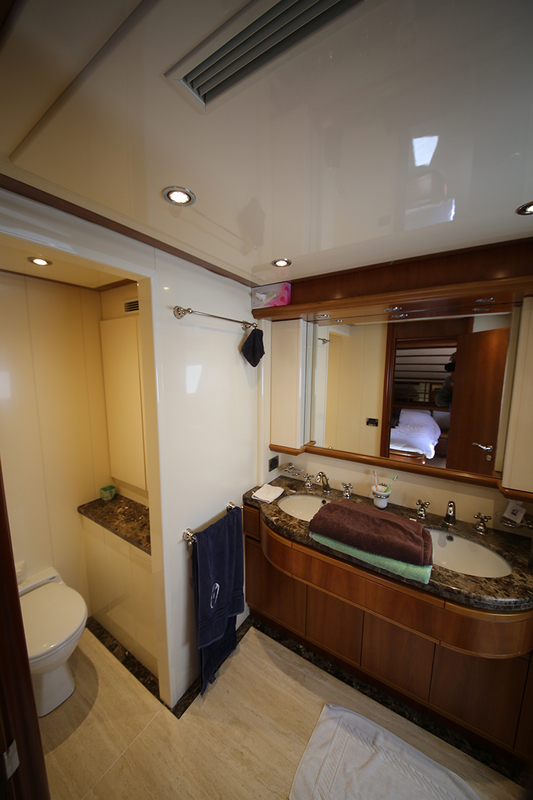 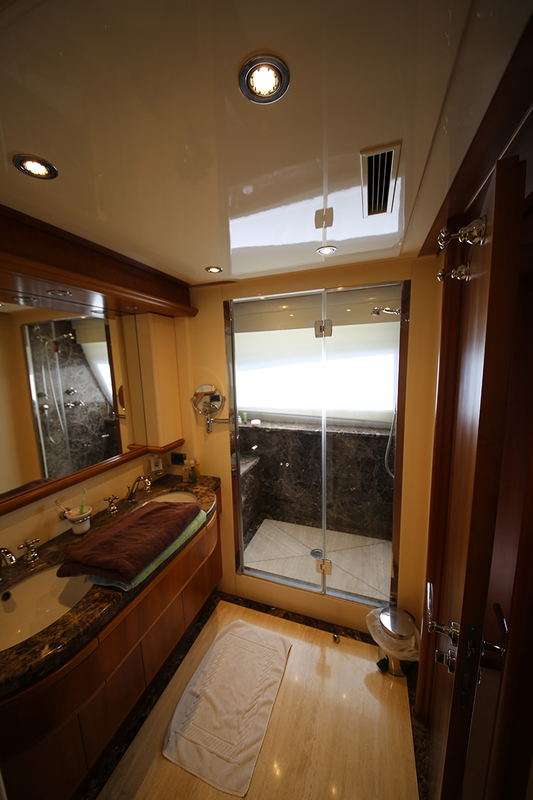 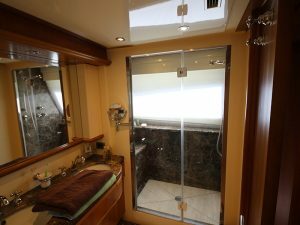 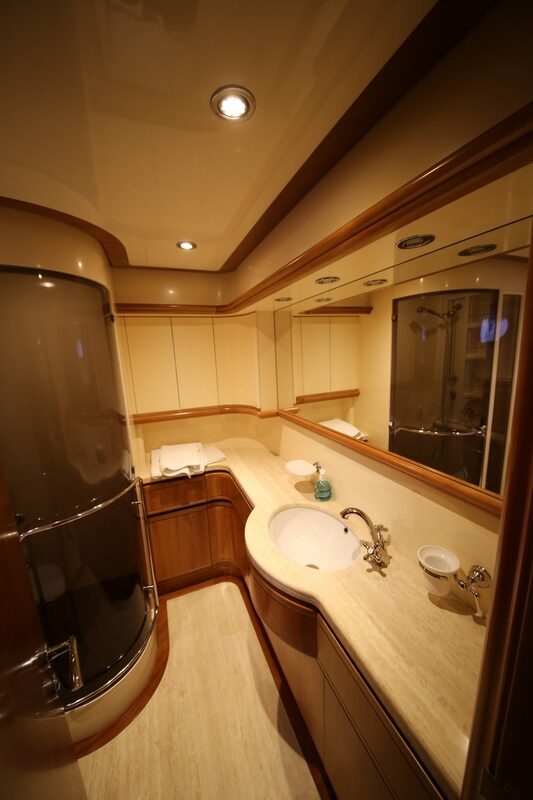 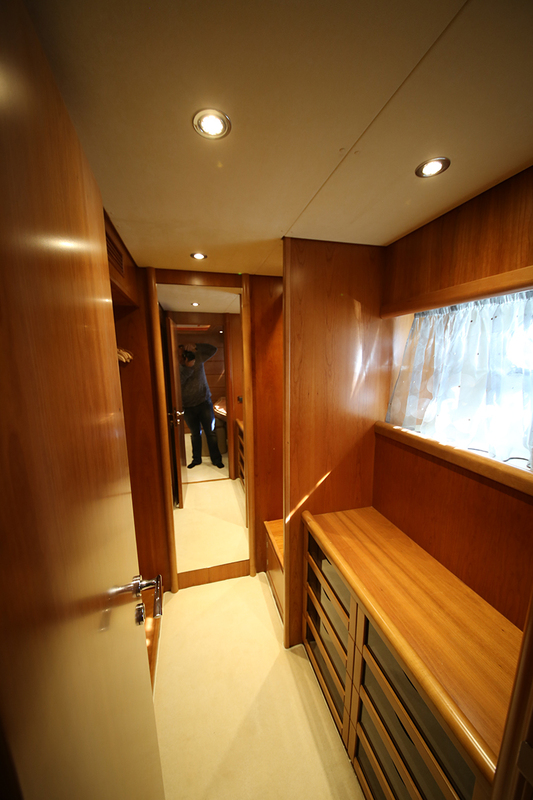 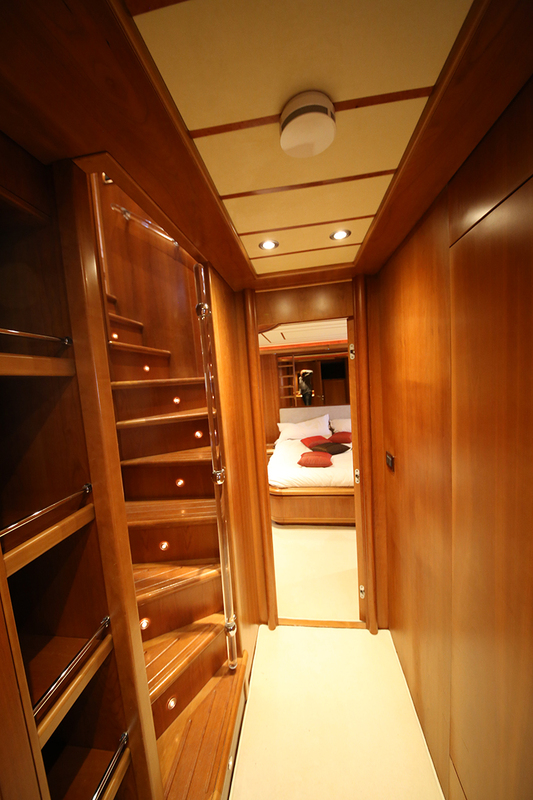 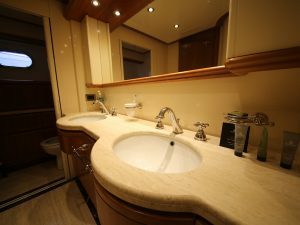 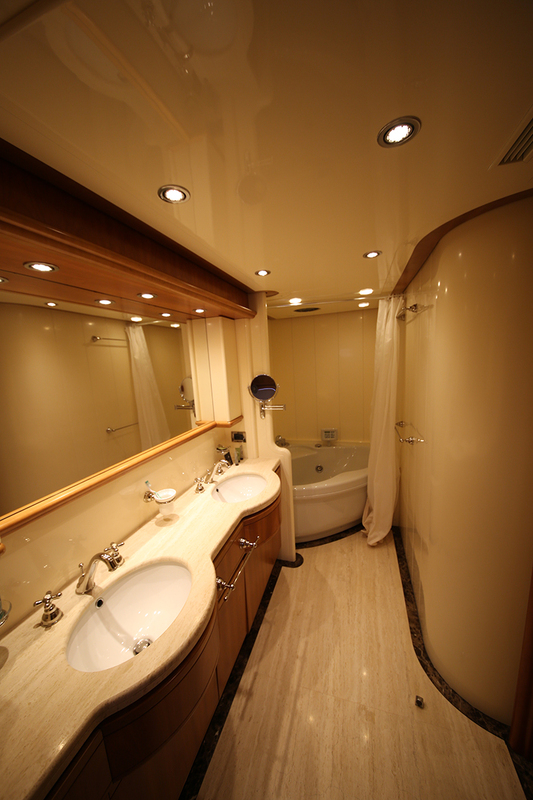 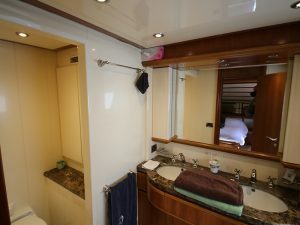 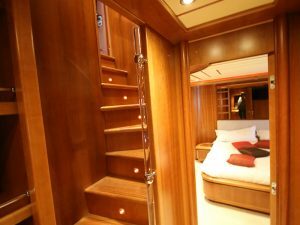 The master cabin offers, apart from the ensuite bathroom with shower and bath tub, a walk-in wardrobe and a vanity desk. 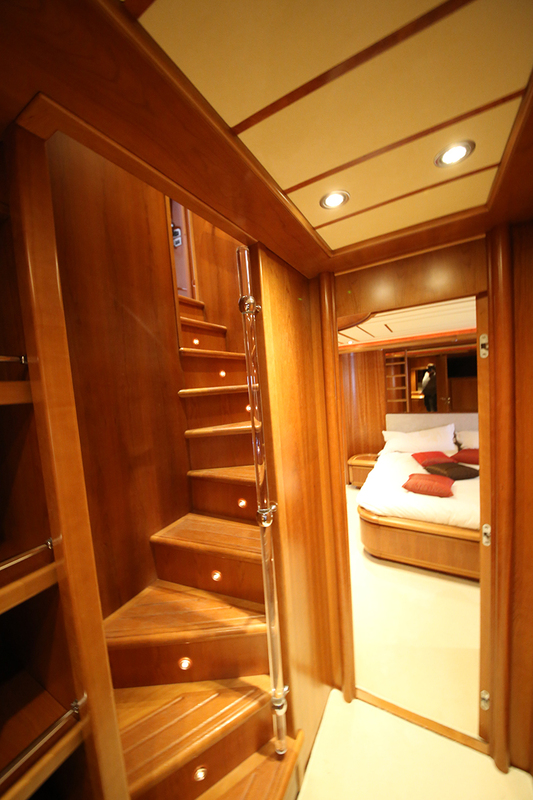 Moving down to her lower deck, there are 3 more guest cabins. 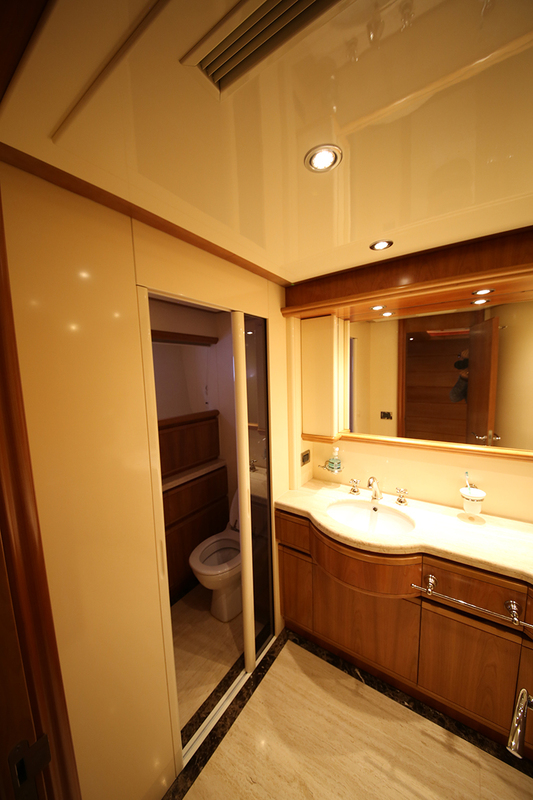 Namely, a VIP cabin featuring a walk-in wardrobe and a vanity desk, a double cabin and a twin cabin. 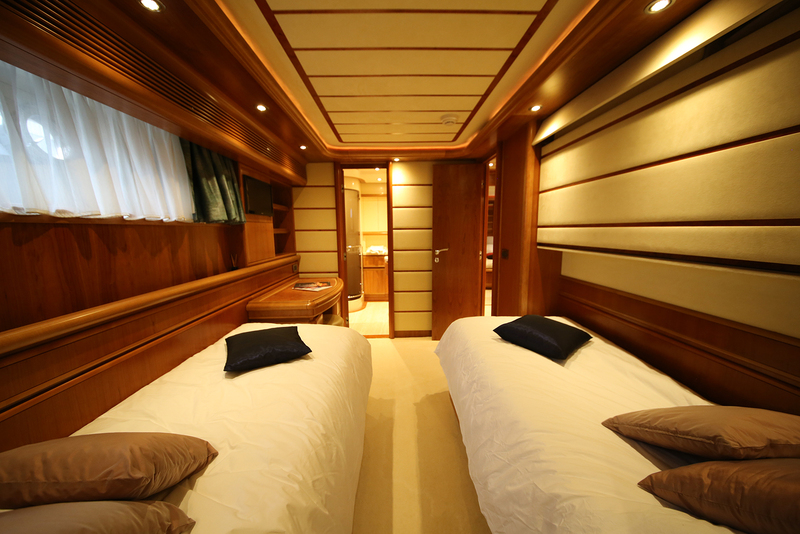 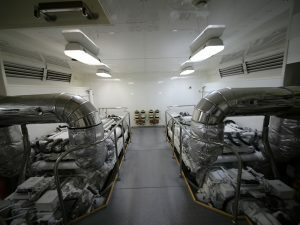 The double and the twin cabin also feature a pullman bed. 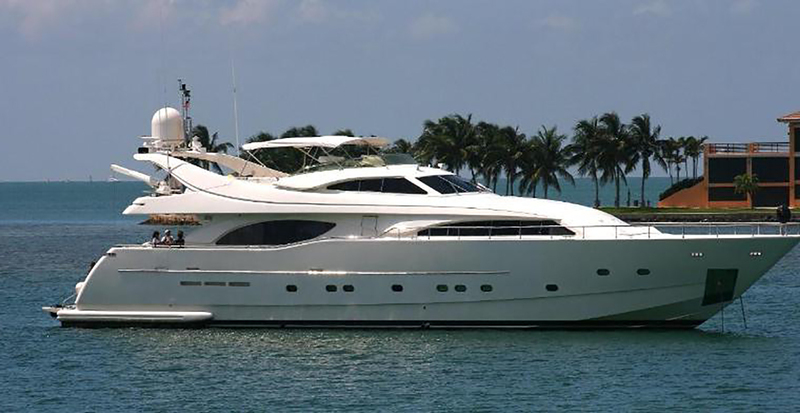 She boasts classic lines yet her exterior looks modern. 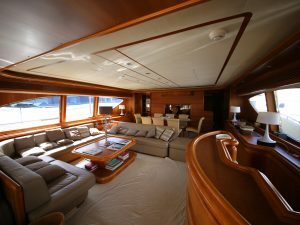 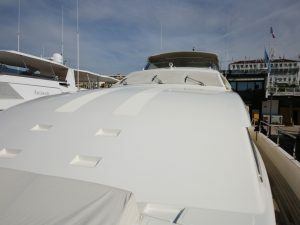 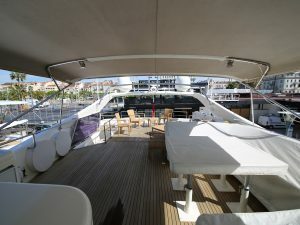 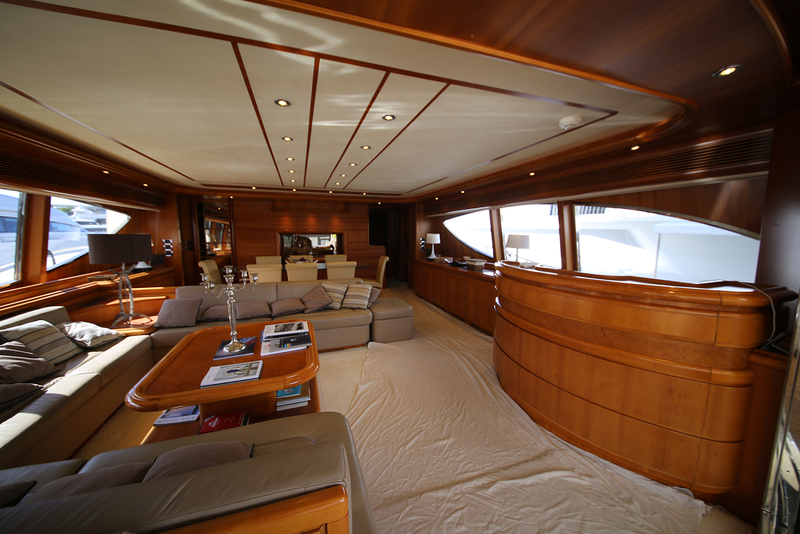 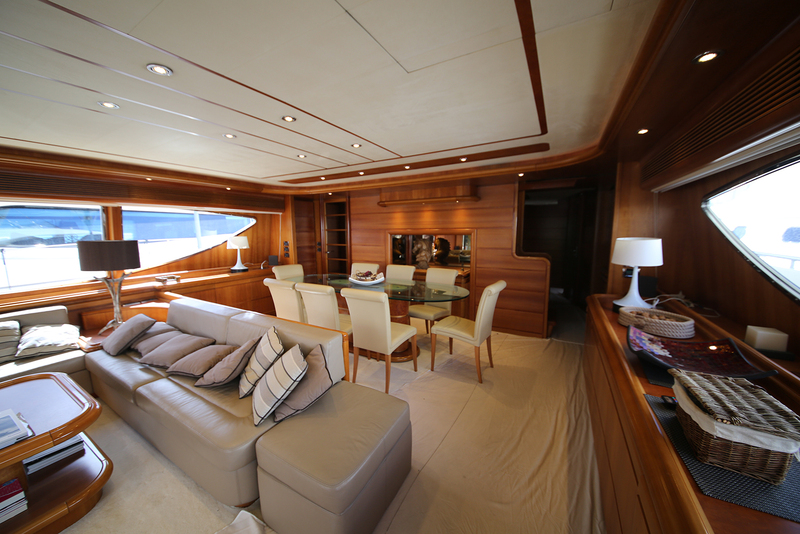 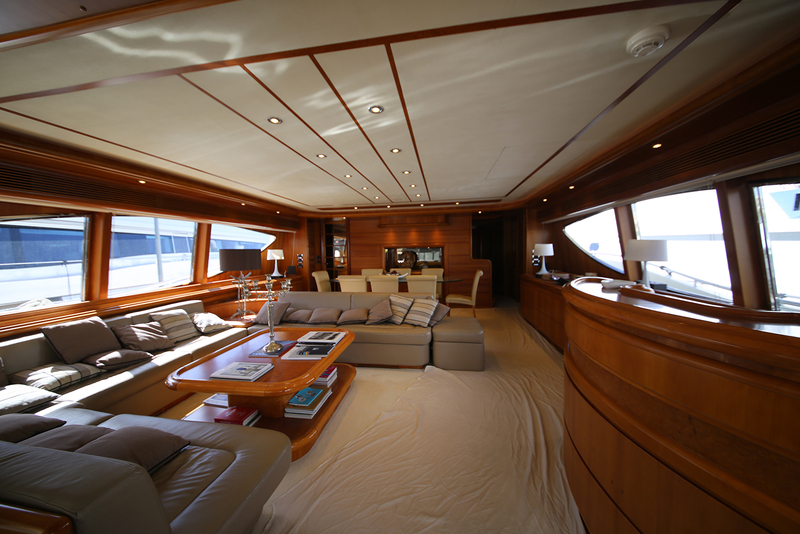 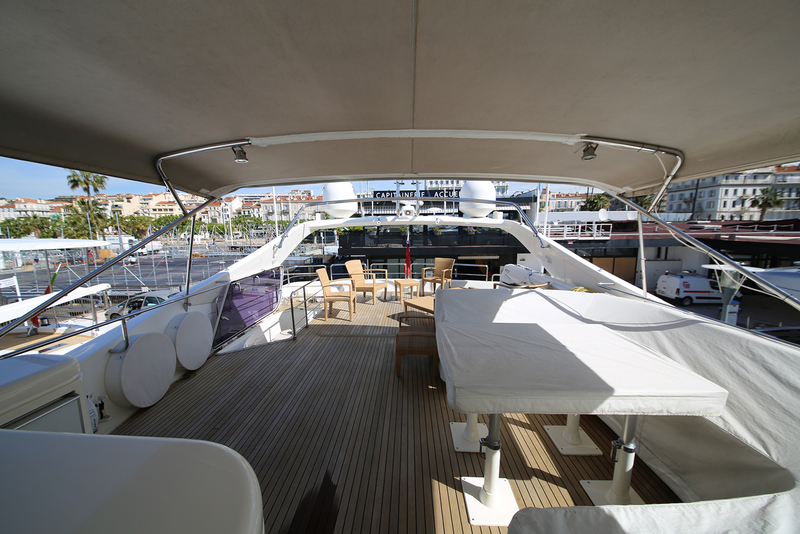 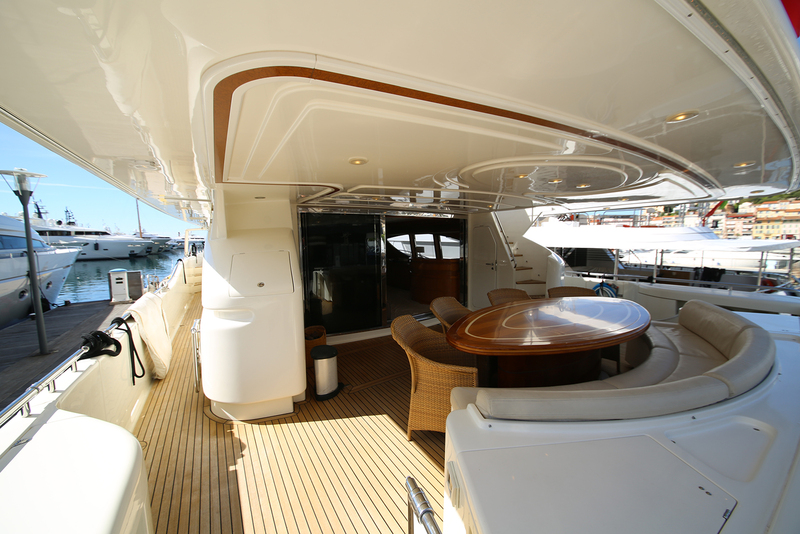 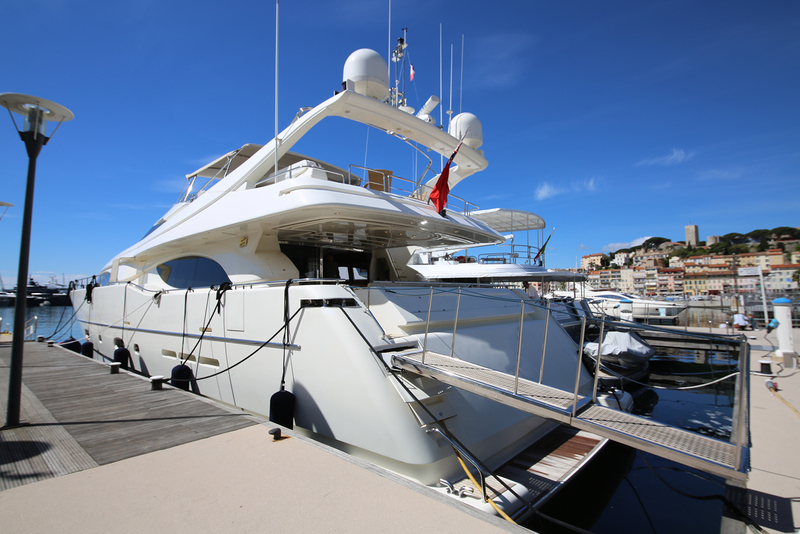 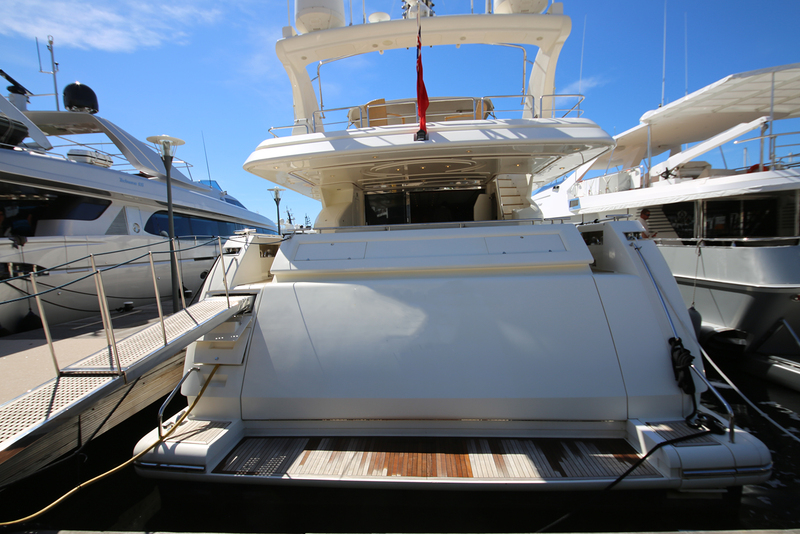 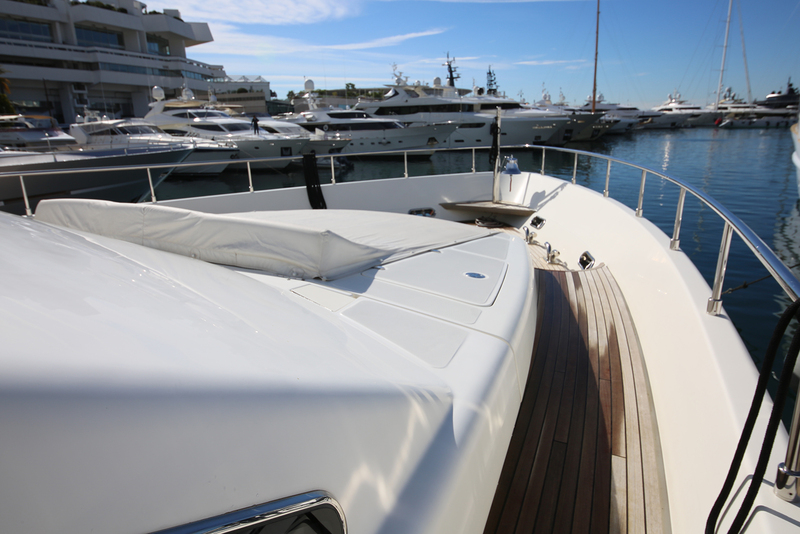 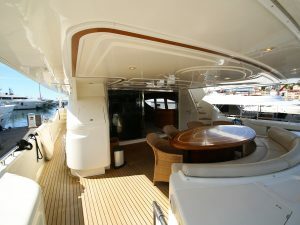 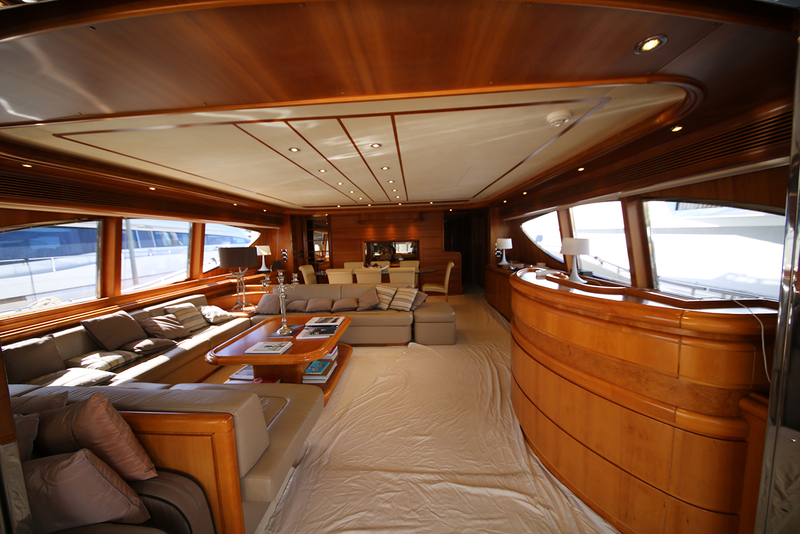 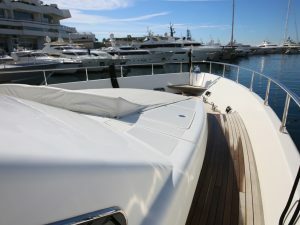 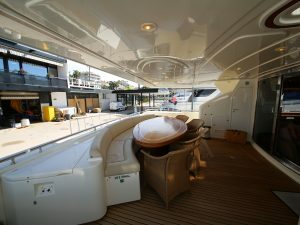 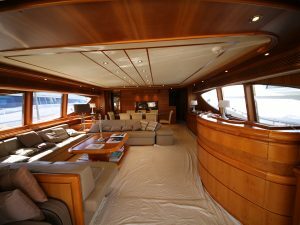 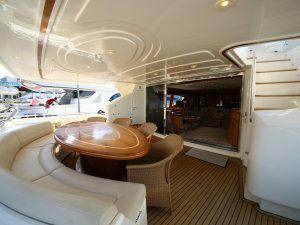 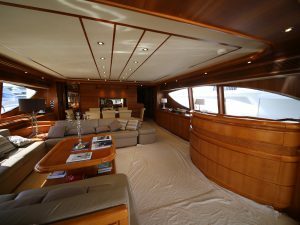 She has a large aft deck with a dining table and sunbathing area on her bow. 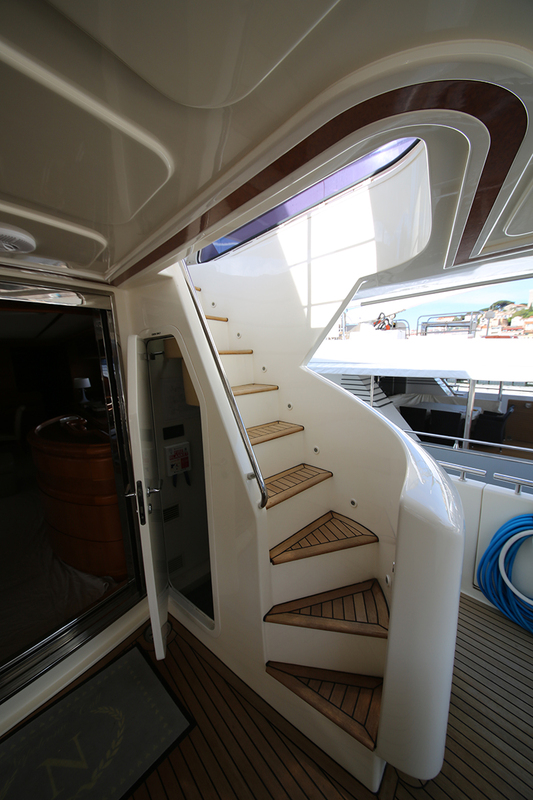 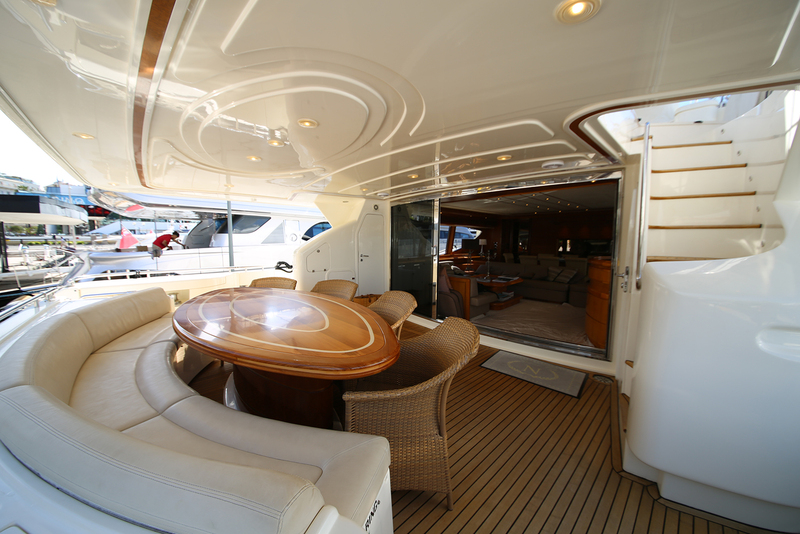 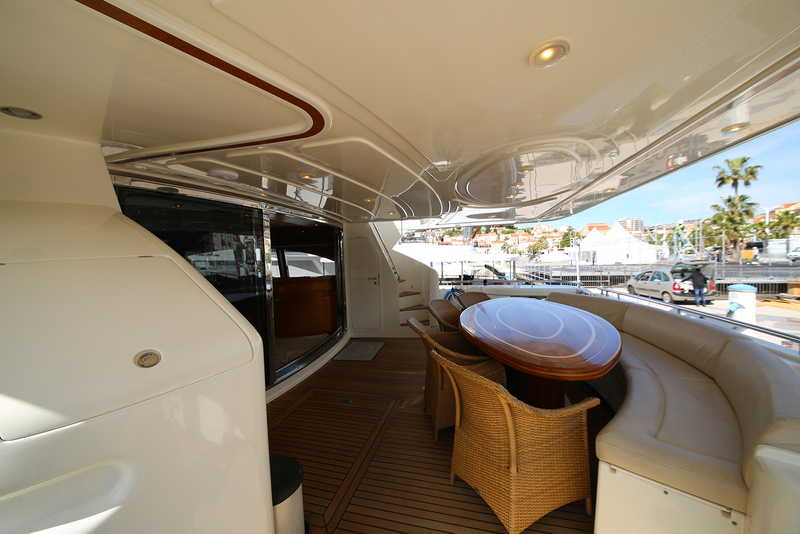 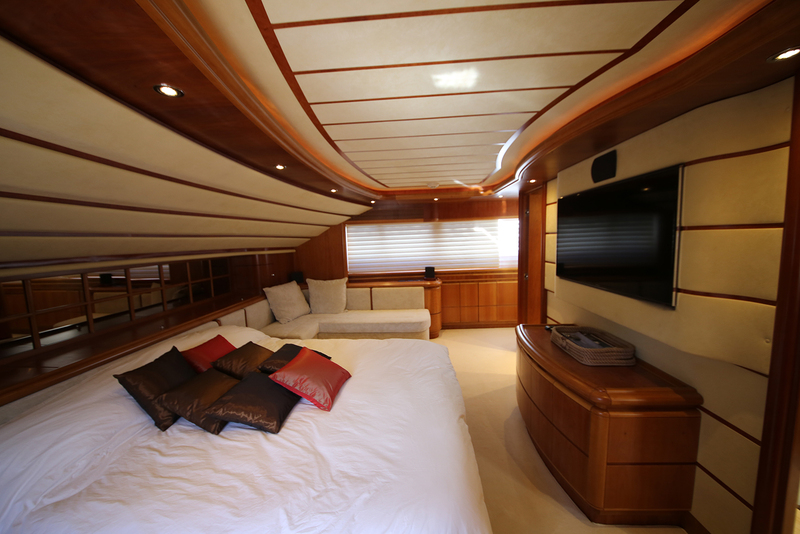 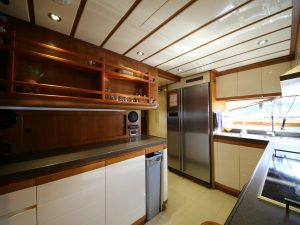 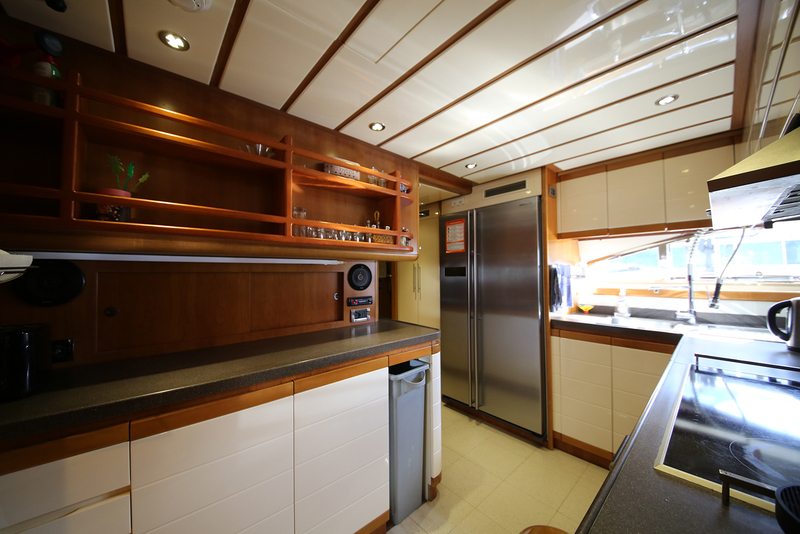 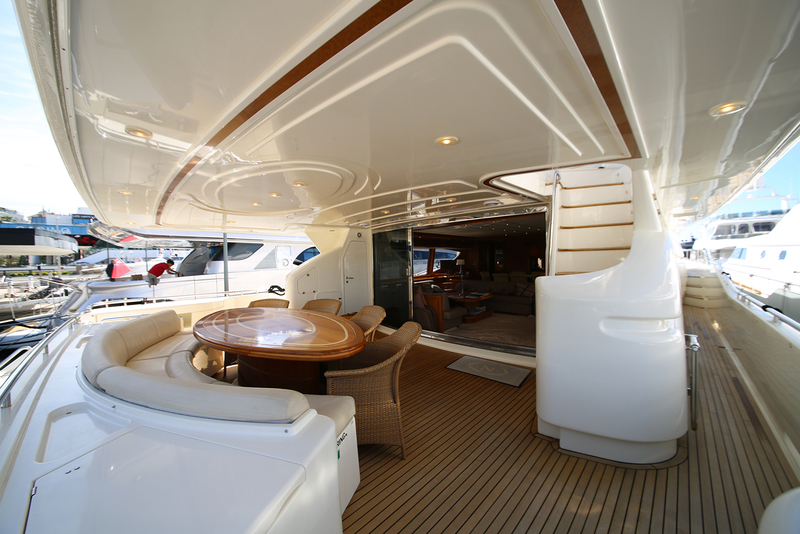 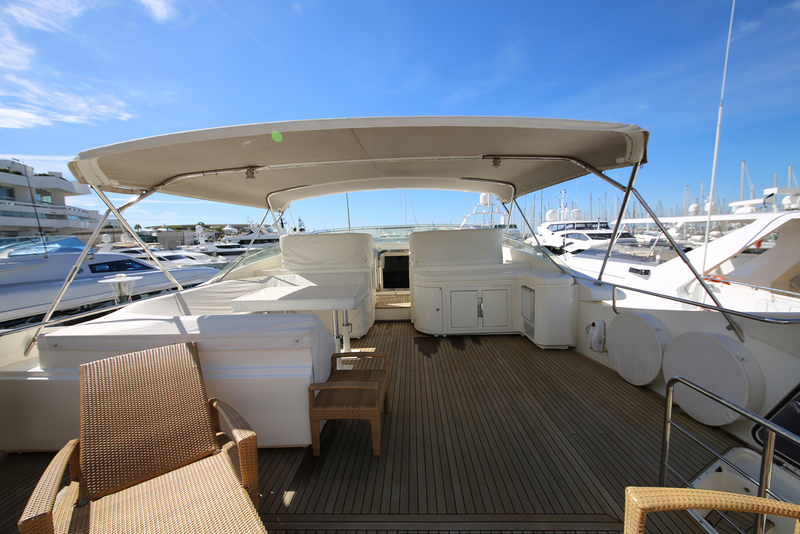 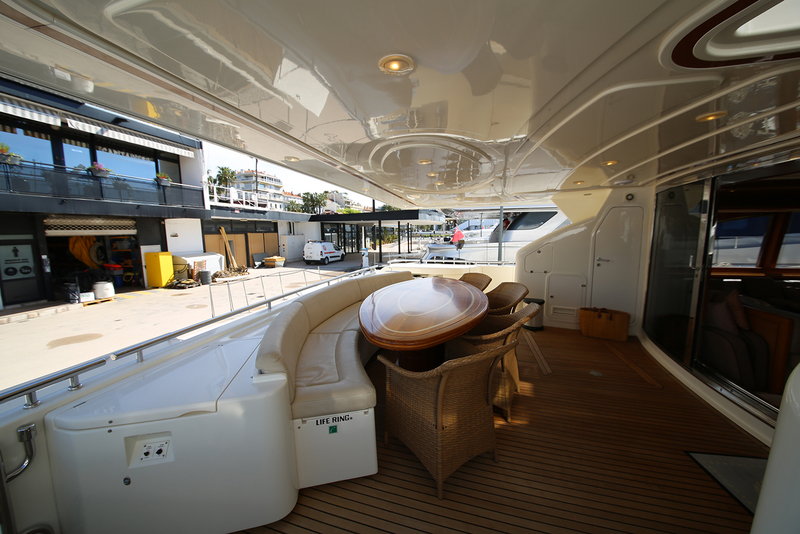 Her flybridge has a U-shaped dining area and is also equipped with a fridge and an ice-maker. 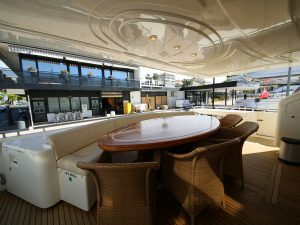 There is large sunbathing area with armchairs and sofas. 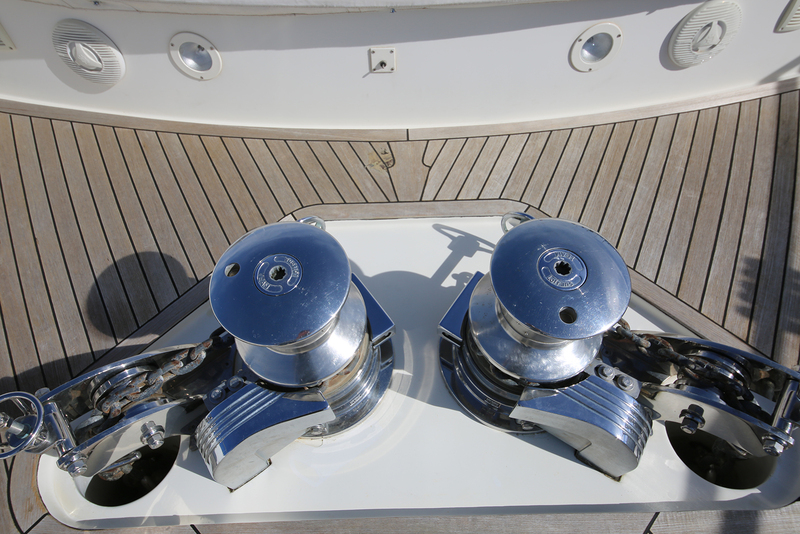 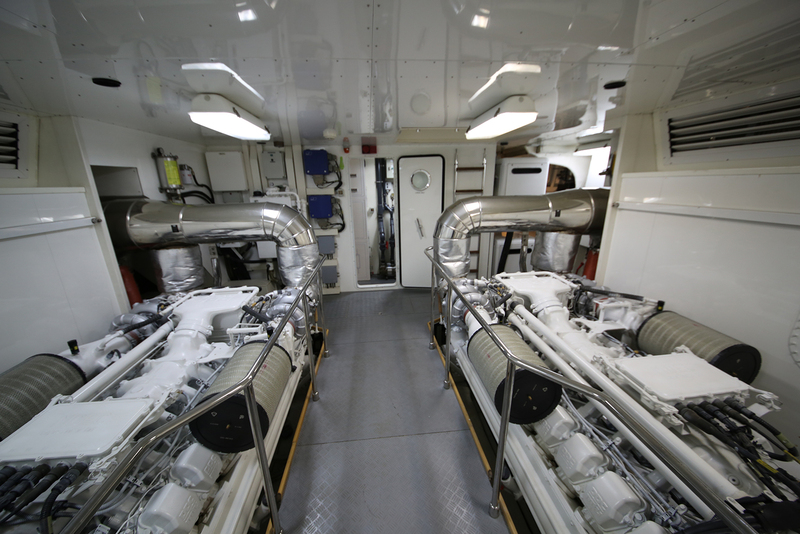 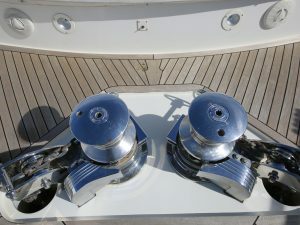 Her two MTU engines of a total power of 4000 hp are cruising comfortably at 26 knots. 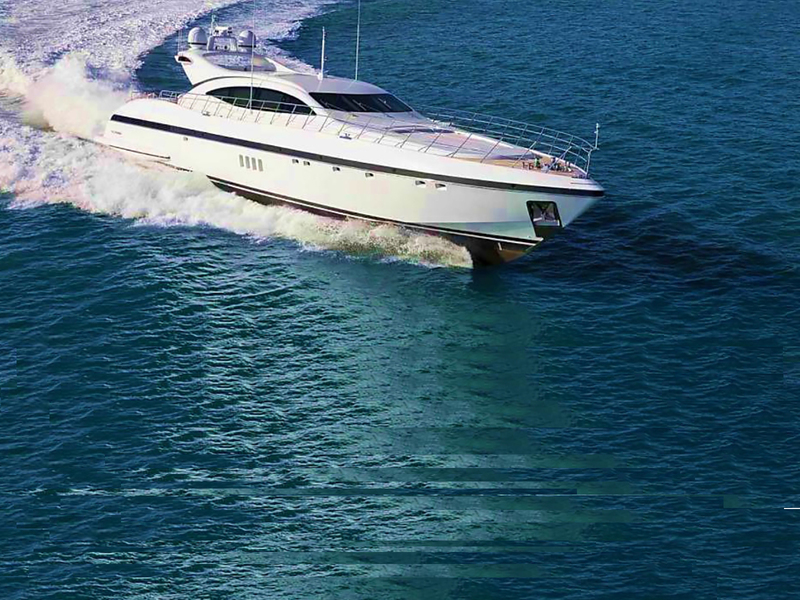 She reaches a maximum speed of 28 knots.